you want Greentree on your side! 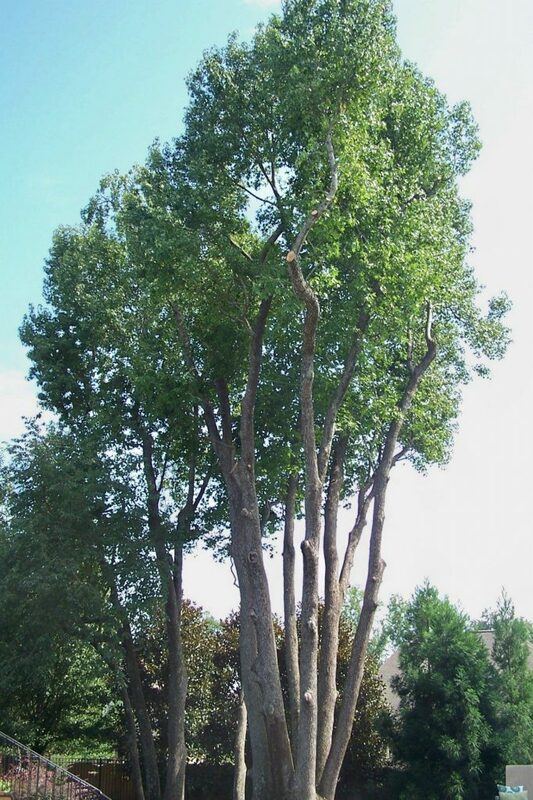 Having lived and played in this ‘turkey-trodden’ land for twenty years, the owner was not convinced his trees were doing as well as they should. His arborist referred us. 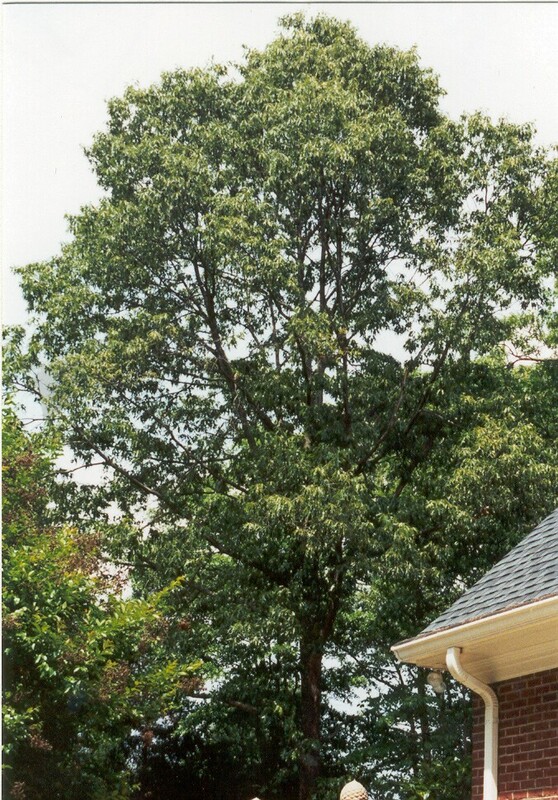 We performed a Level 2 Tree Risk Assessment (Hazard Evaluation) on his large shade trees, as well as a Health Diagnosis on all his trees. We found, as is typical in the Upstate, most root flares were buried in mulch and soil. 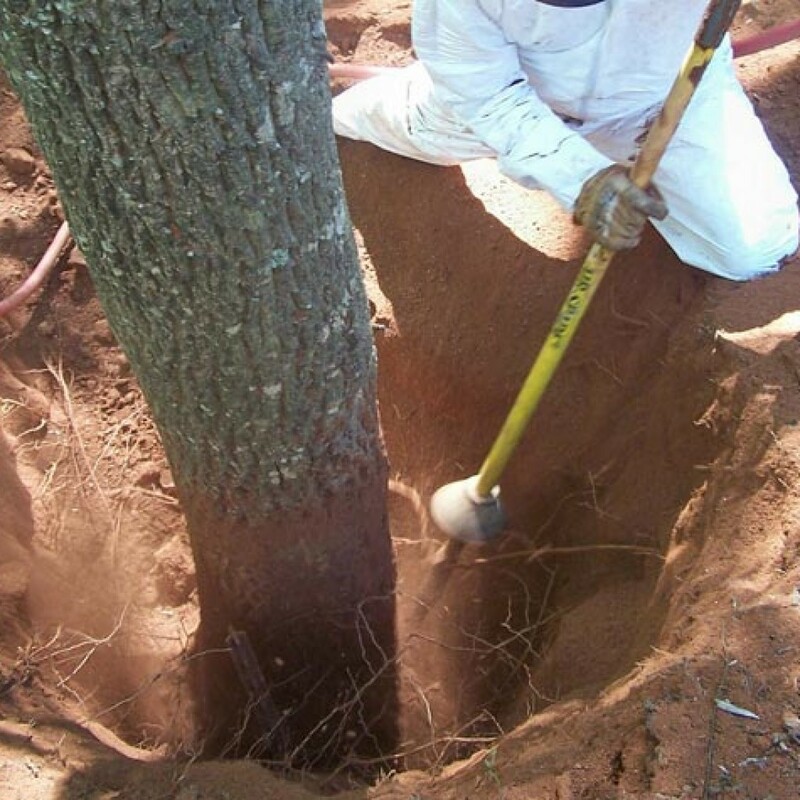 We immediately went to work performing a Root Collar Excavation with our safe, supersonic air tools, as well as removing the girdling roots that were choking his trees. We amended the soil, and made mulching and watering recommendations. 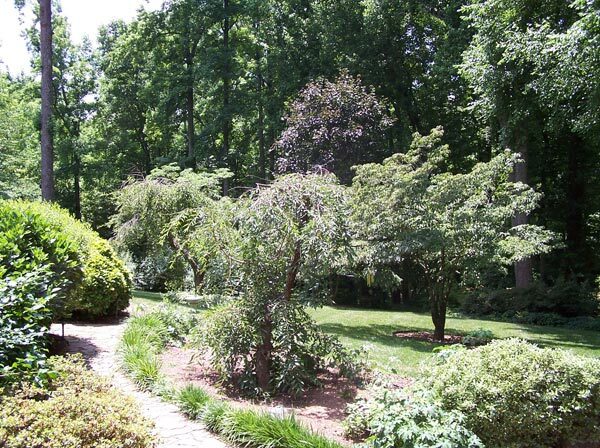 In a show of appreciation, his trees and shrubs have put on a show ever since. Performing root collar extraction on flowering cherry (before). 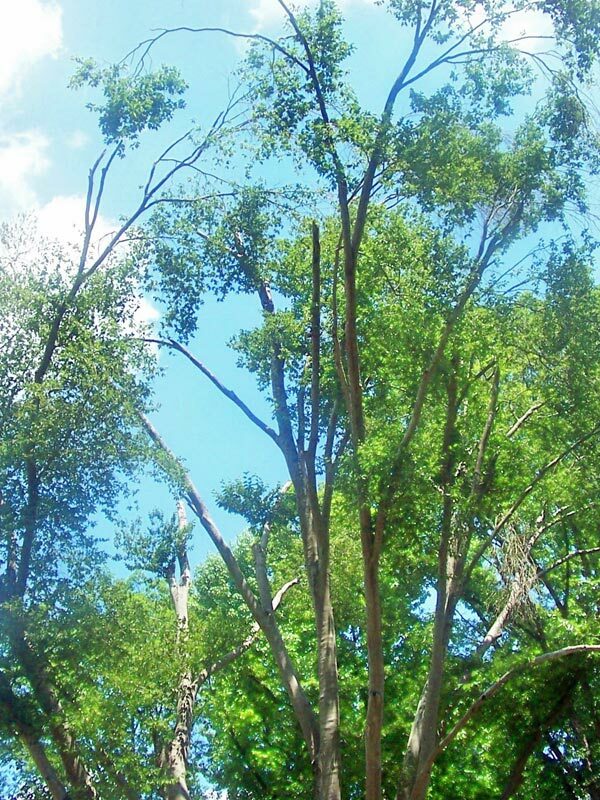 When an ailing tree has sentimental value, the pressure is on to restore it to its former glory. 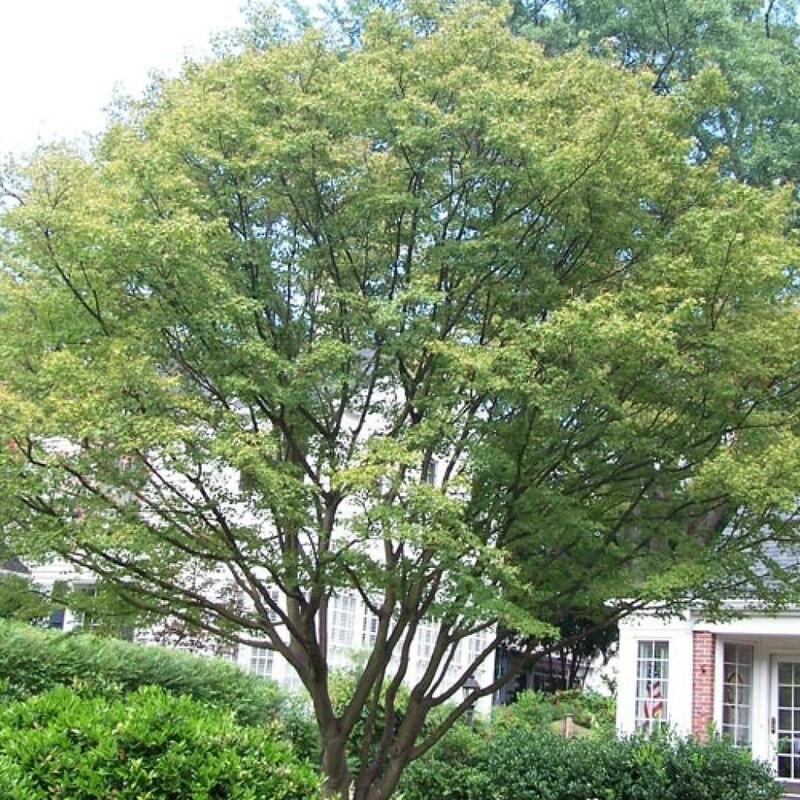 This Japanese maple, a gift to his wife, was showing signs of decline (slowly dying). 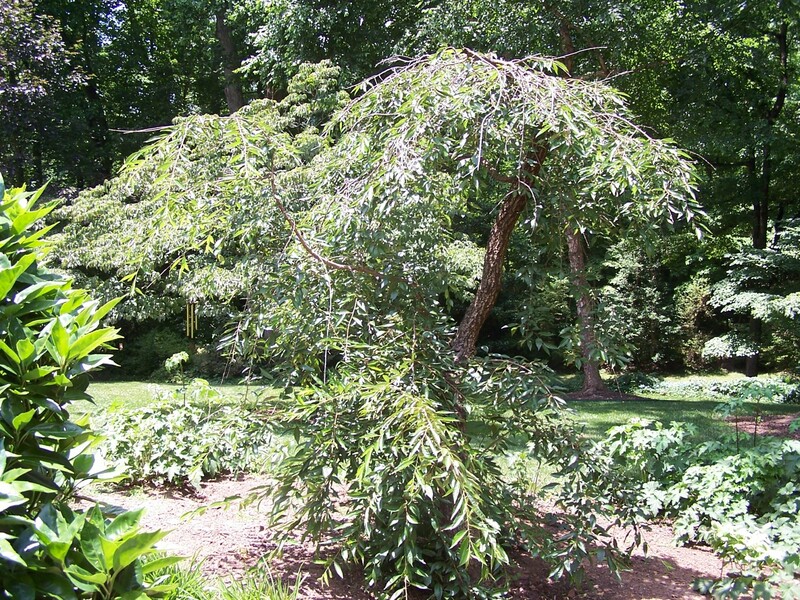 Ornamentals, such as Japanese maples, flowering dogwoods and redbuds, are slow growing and notorious for resisting rehabilitation once they begin to decline. If we are able to find the real problem soon, we usually can turn a struggling ornamental around. 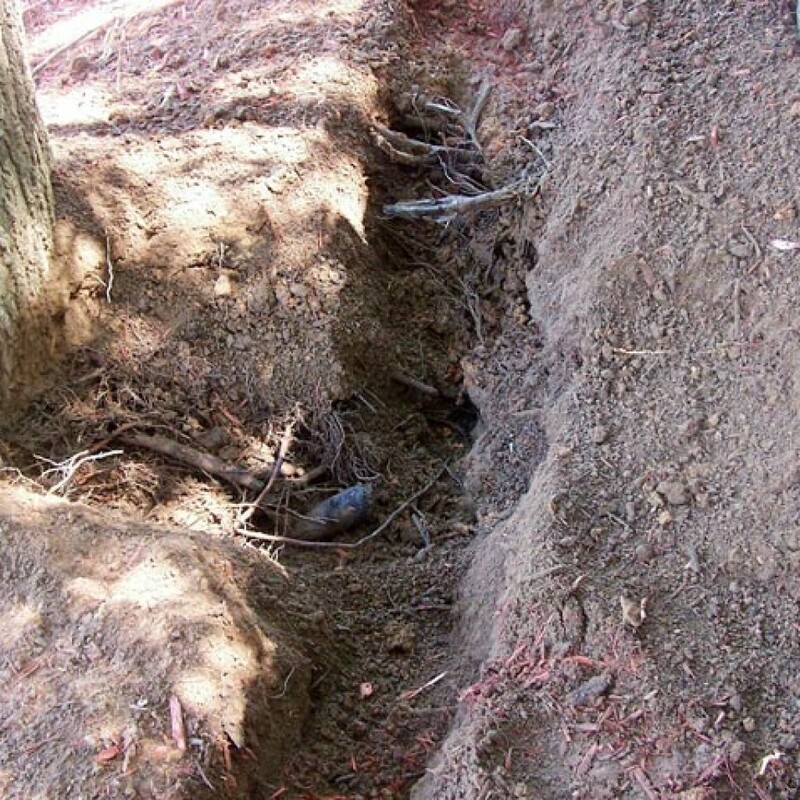 70 to 90% of the problems we see above ground are caused by underlying issues below ground. Unlike other companies, this is where we focus our attention. 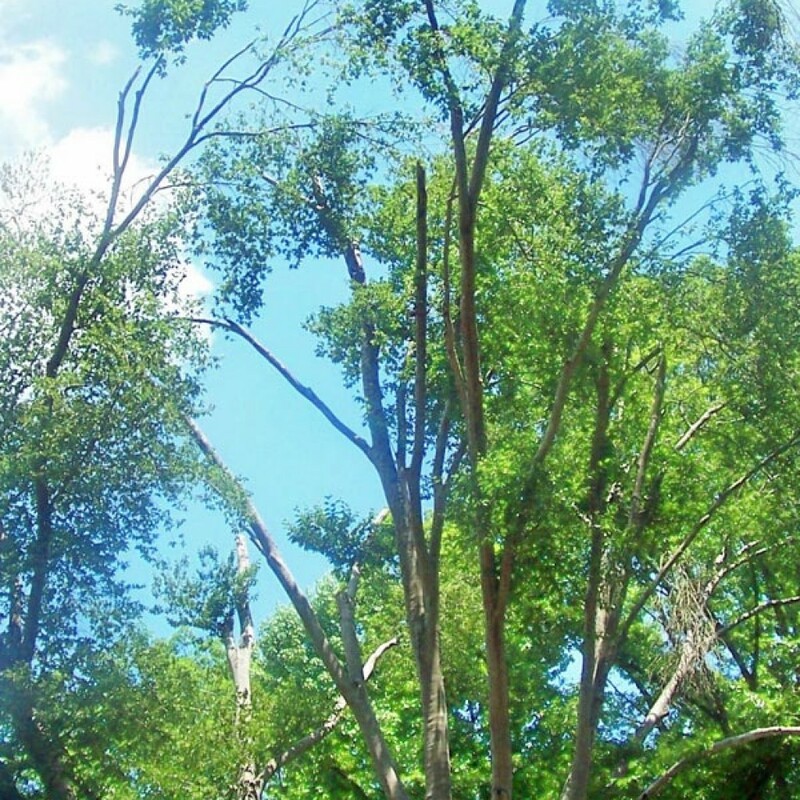 The dieback above was directly related to the root loss below, which was caused by common urban stresses, such as soil compaction and competing vegetation (turf-grass). 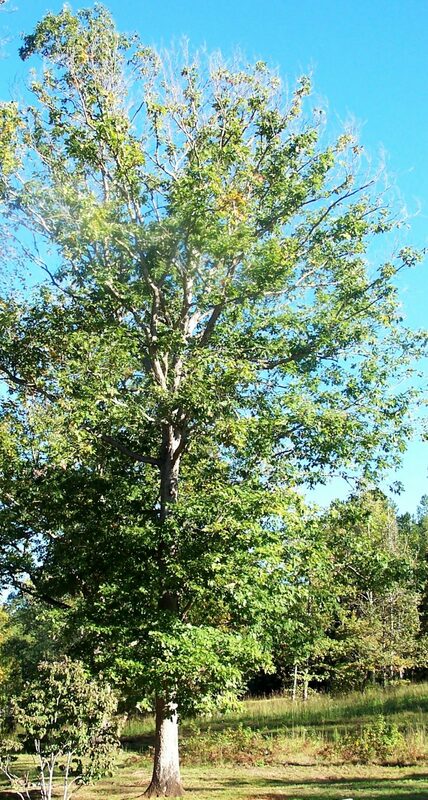 Because we were able to access most of this maple’s roots during treatment, we received a favorable response—maybe too good! Pests also took note of the new, succulent growth and were quick to take advantage. We returned to address these opportunists. 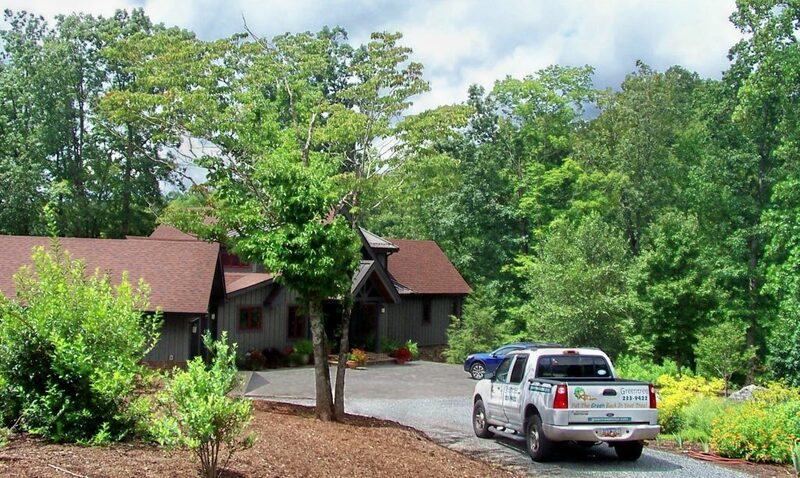 Unlike other companies that treat without follow-up, we provide ‘outpatient care.’ And what a difference it has made! 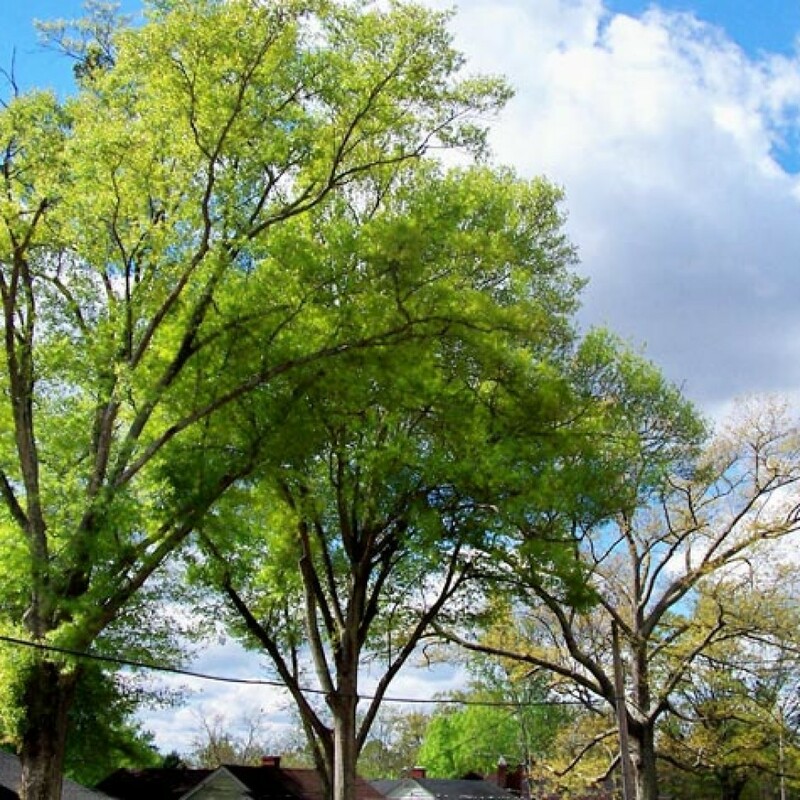 This builder purposely built his dream home ten feet further back to save his beautiful beech tree. 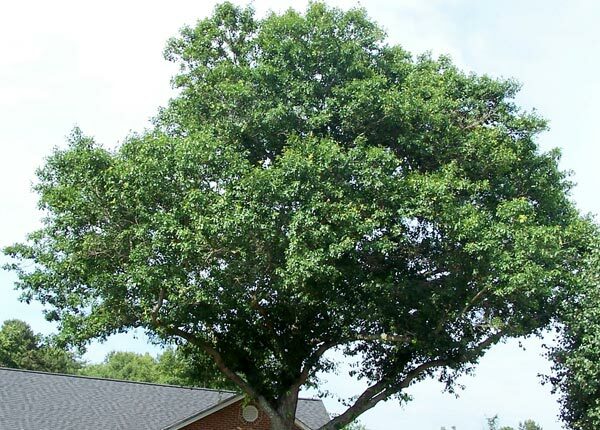 But without an competent arborist’s input during planning and development, most mature shade trees don’t stand a chance! This huge American beech was no different. 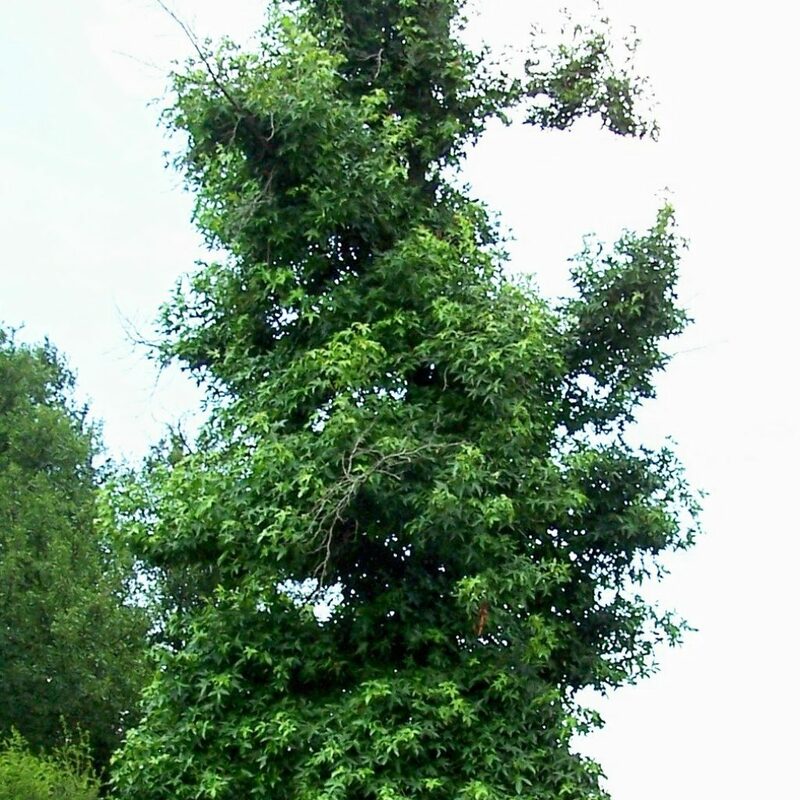 In all fairness, there may be no Eastern broadleaf more difficult to preserve. 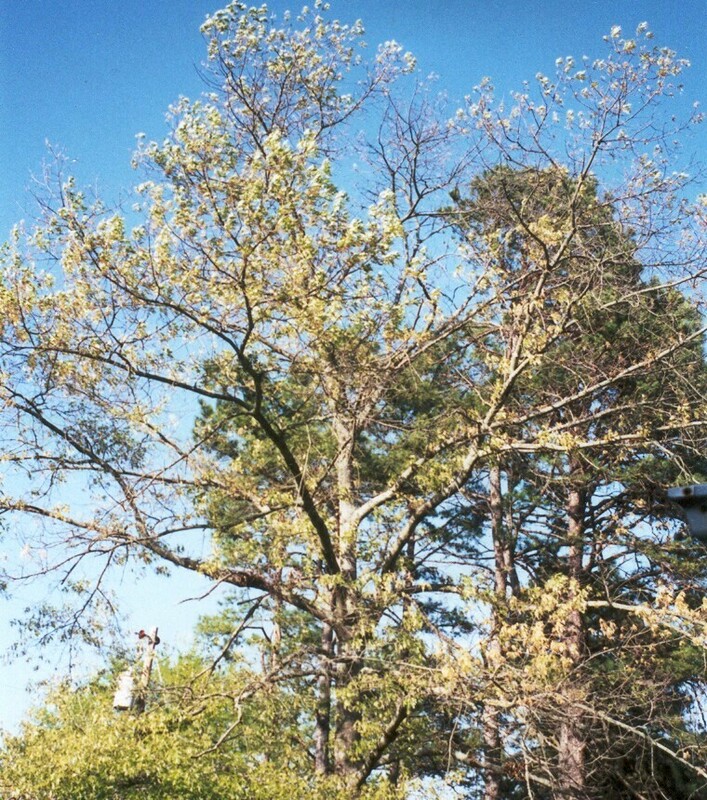 As it began to fade, several tree care companies were called in. But the more they worked, the worse it got. Finally, his lawn care company (responsible chaps!) referred us. After a Level 2 Tree Risk Assessment (Hazard Evaluation) and a Health Diagnosis, we determined it would likely respond to treatment, and started our unique Root Zone Therapy. 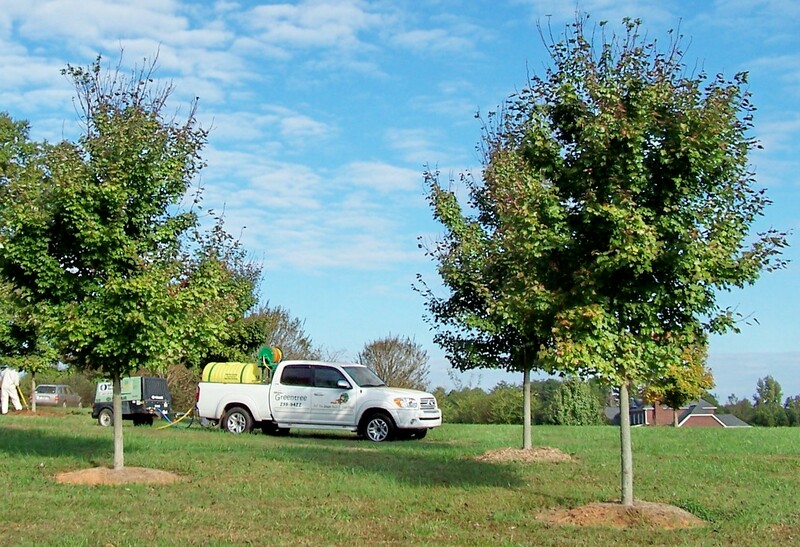 Since, we have religiously monitored for pests, root rot, structural defects and soil moisture (nothing is too good for our clients and their trees!). 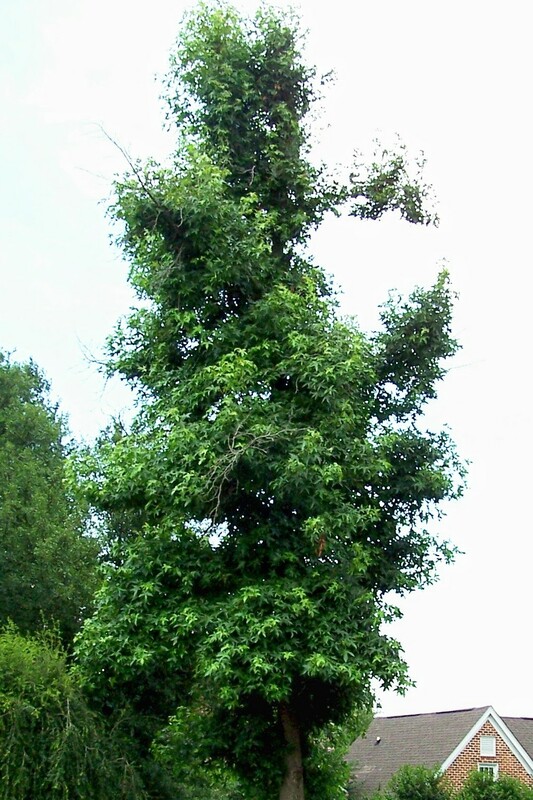 Though, at times, it has been touch-n-go, his beech is now responding favorably. 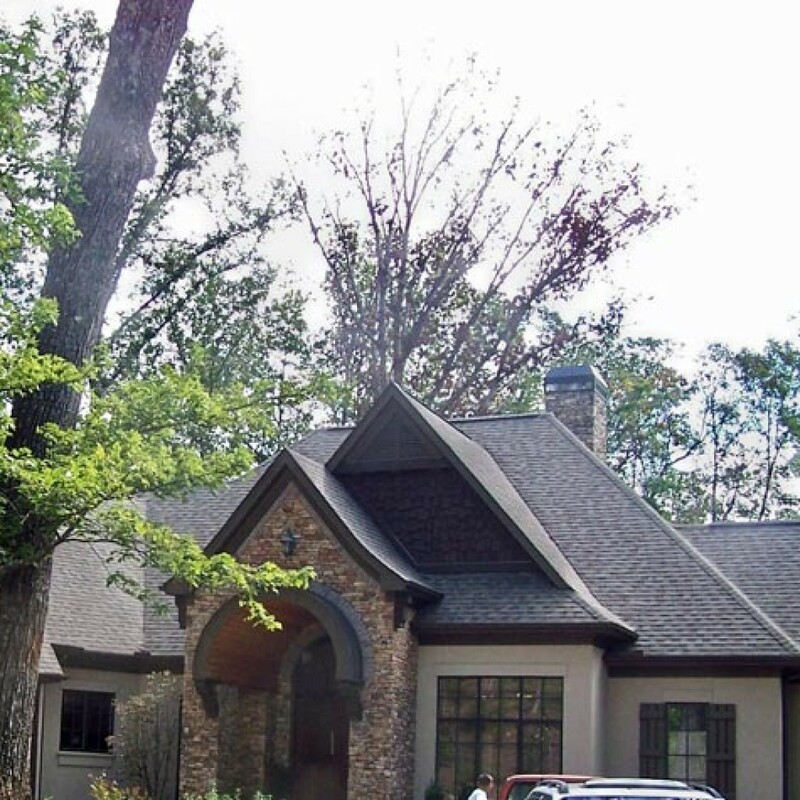 The owner use to have a large pile of dead branches on the side of his drive. That was 3 years ago. Since, it hasn’t shed a branch! 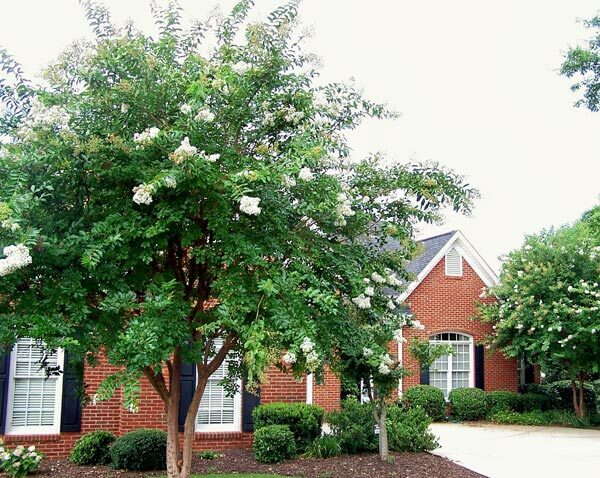 It looks like this builder will get to keep his prized tree. 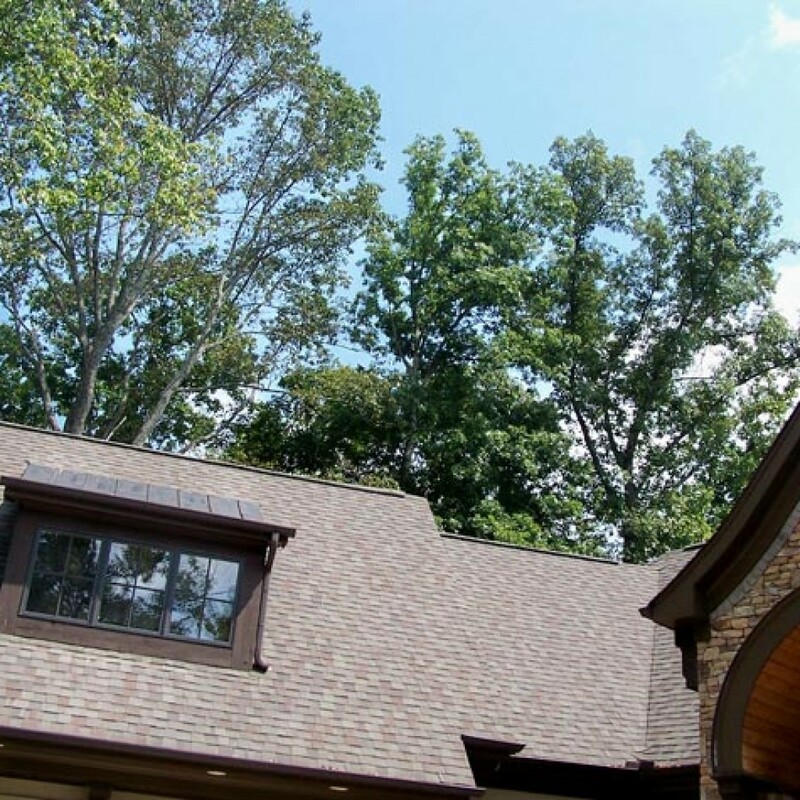 This couple chose to build their new home on a beautiful wooded lot in the mountains. But new construction can prove disastrous to trees if the builder doesn’t have in place an Arborist-supervised Preservation Plan (it’s hard to apply ‘TLC’ with bulldozers and bobcats tramping about!). Such was the case here. Four huge shade trees were already dead; costing the owners thousands of dollars per tree to remove (ouch!). 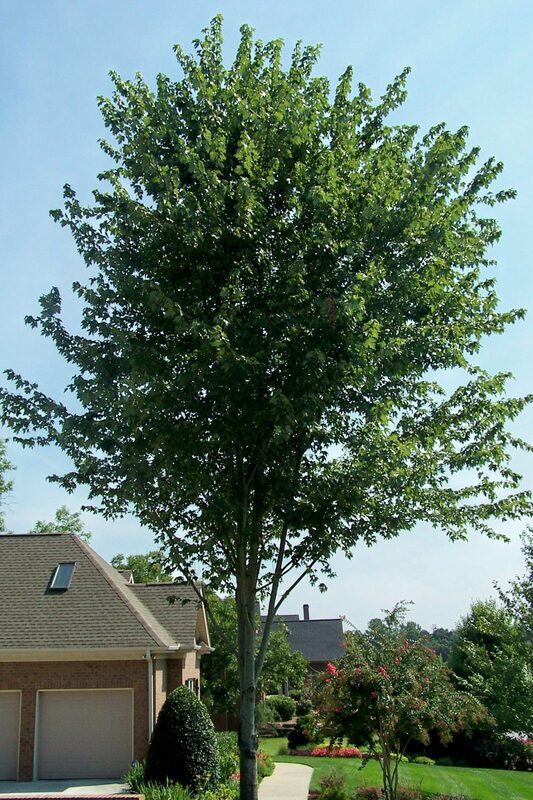 Most owners will go on to loose 90% of their large shade trees within 100 feet of their new home within 10 years. Once Greg & Theresa decided to retain our services, we immediately went to work separating the living from the dying (to be removed by a responsible tree removal service). The trees we assessed as a low risk and likely to respond treatment, we began our Root Zone Therapy. Excavating these buried trees revealed horrific wounds to their roots and root flares, which is typical after building. We have had our hands full restoring to this scarred landscape what the grader has stripped away. 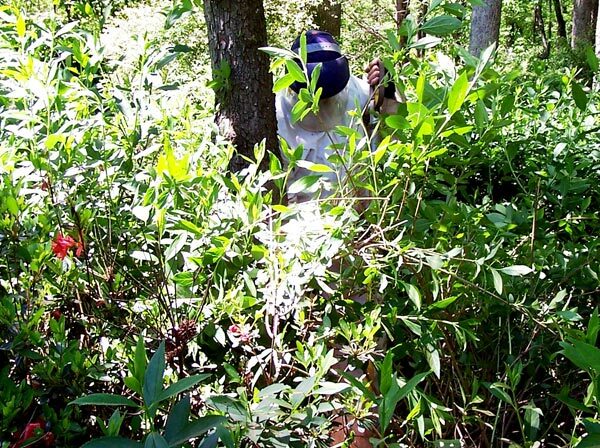 Besides monitoring, amending the soil, and treating for pests, we made several cultural recommendations. 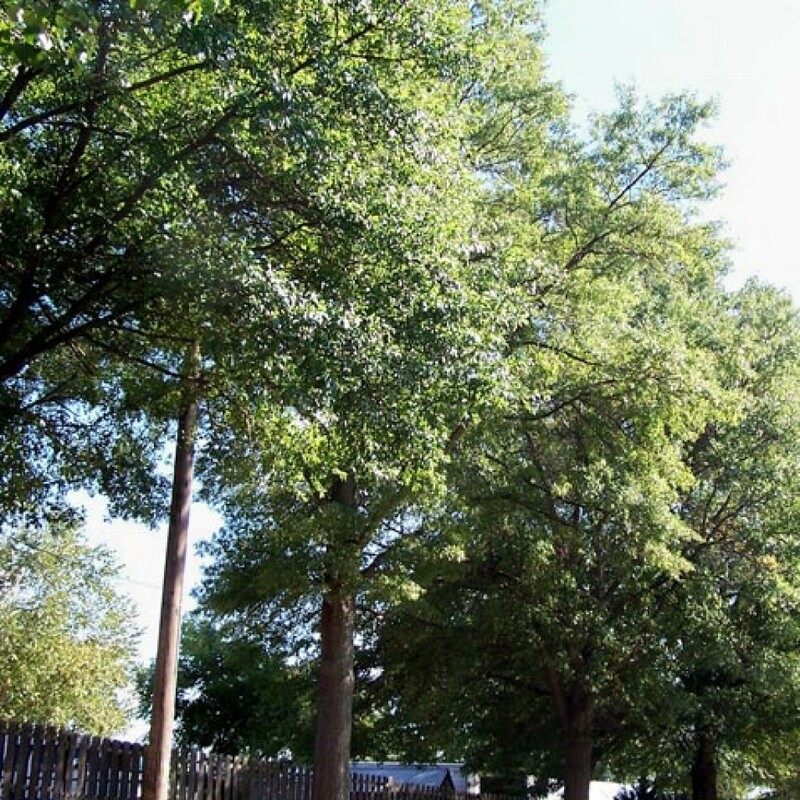 In the 3 years since, the owners have seen dozens of shade trees removed following development and building in their neighborhood, while they have lost only 3. It’s been 5 years, and 93% of the trees we set out to save are still with us today! 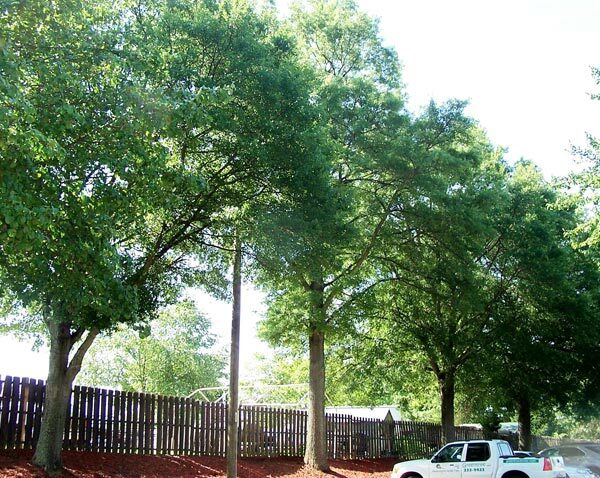 Without our Root Zone Therapy, they would likely have lost half their big shade trees. With the landscape in place, and many additions since, the removal of just one large oak would probably have cost more than our entire rehabilitation program (involving dozens of trees!). Of course, an Arborist-supervised Preservation Plan would have cost a fraction of this. 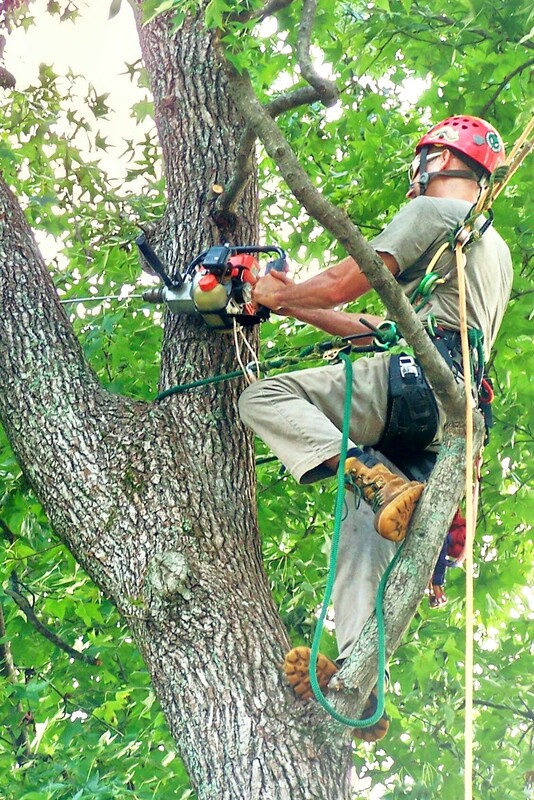 Unlike other tree services, we do not cut trees down. We preserve them. So you can bet if we have to condemn a tree, it’s because it is dangerous and can not be made safe. As I.S.A. 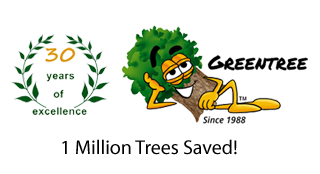 Certified Tree Risk Assessors, we have done thousands of successful assessments; relieving our clients of needless stress and worry. 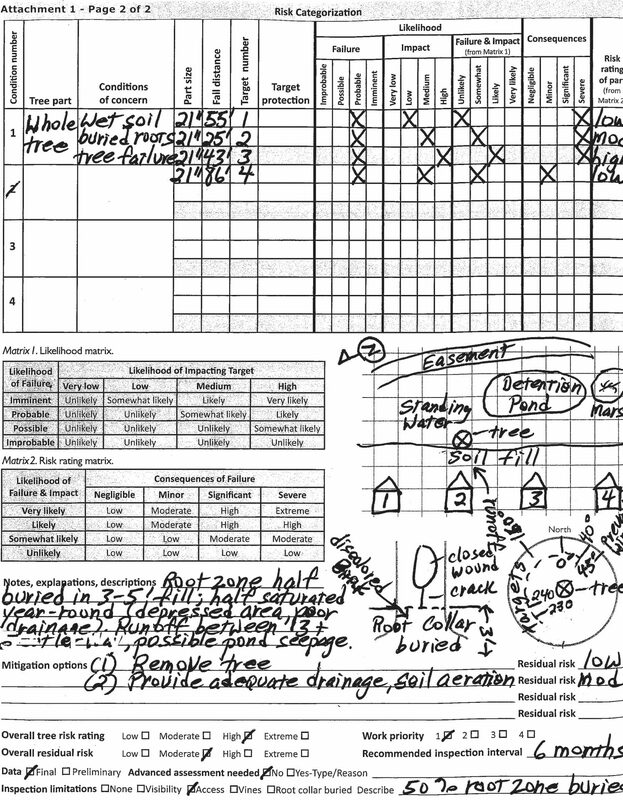 With straightforward assignments – to save our clients money – we often put our recommendations in a form report. 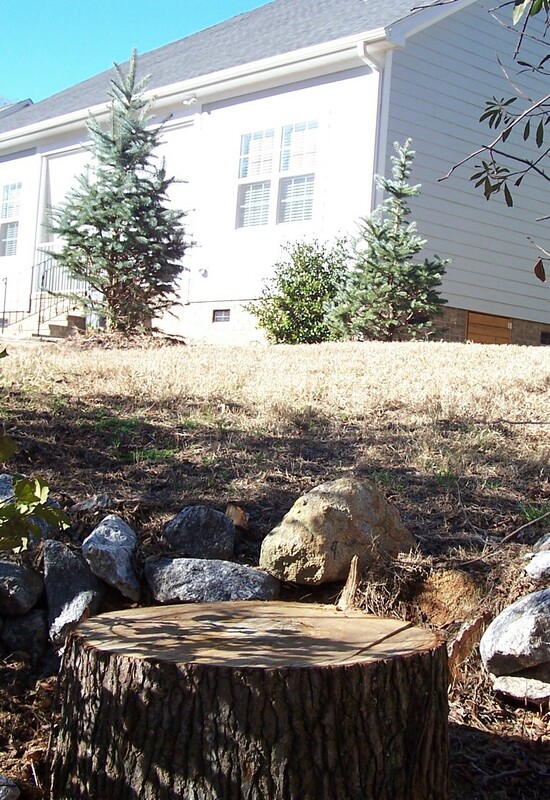 But the waters can get murky when an ‘in-house’ tree expert, a property management company and a homeowner’s association (HOA), decide what risks are acceptable to its members. Of the 4 homeowners that found this arrangement unacceptable, we were hired by the owner with the greatest concern. 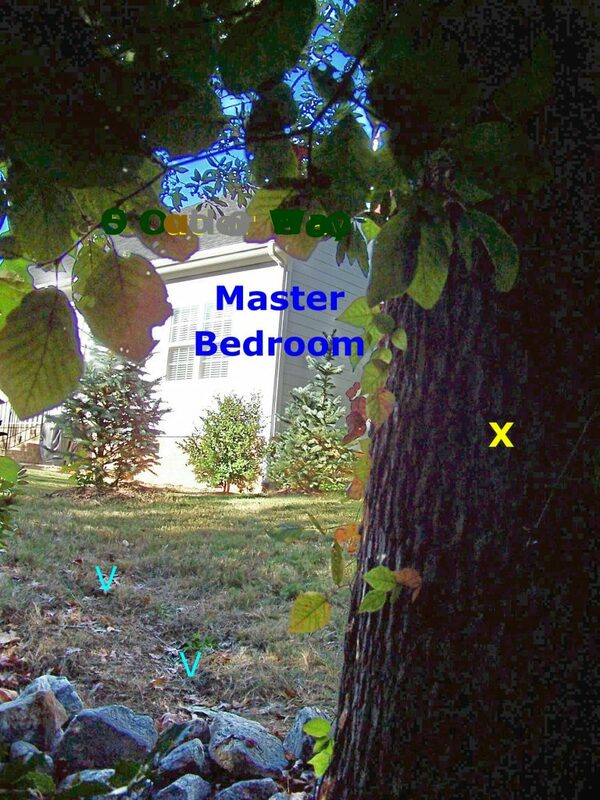 Not only did he have a tree fall on a previous home, he now lived in the shadow of another potentially dangerous tree! But even with this in mind, he was willing to accept the results of our independent evaluation. 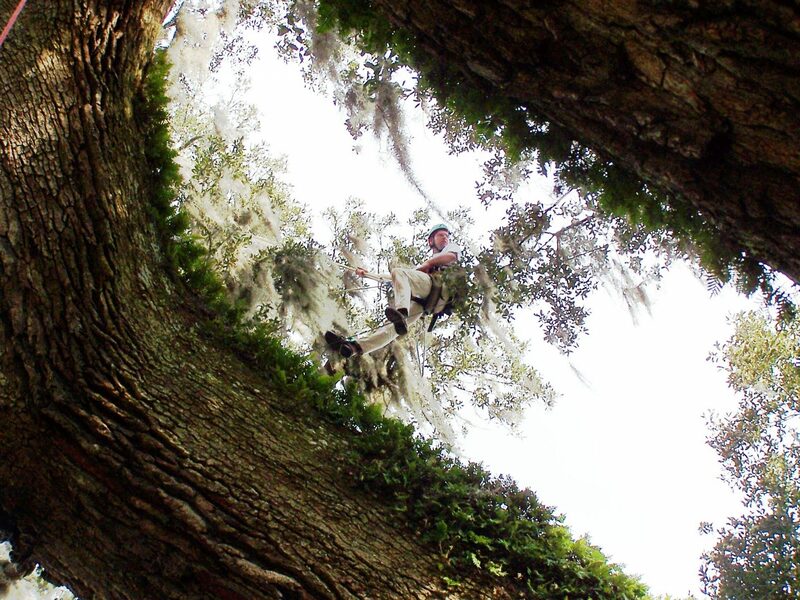 The first thing we look for are the root flares (where the largest roots extend from the base of the tree). Here, they were buried in several feet of rocks and ‘funky-smelling’ mud (the white arrow below points to the top of a 2-foot DHEC silt fence). 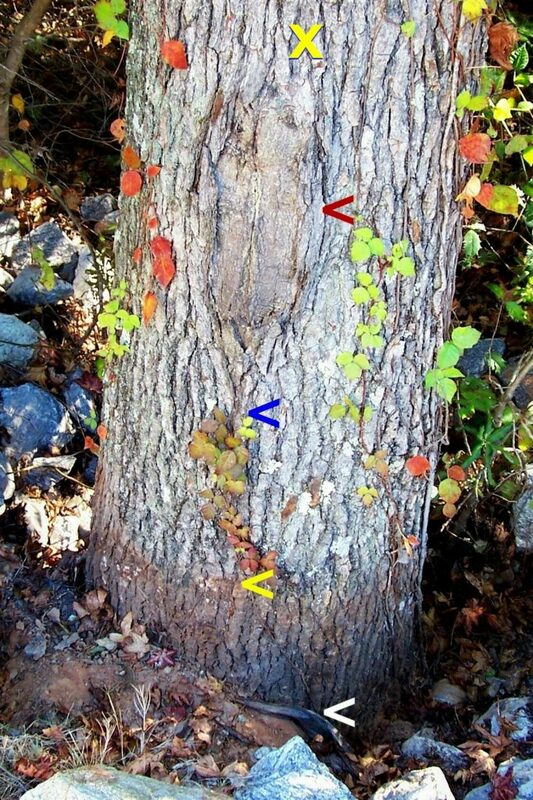 If you can’t see the flares, the trunk may be girdled (choked) or rotting; a potentially life-threatening scenario! 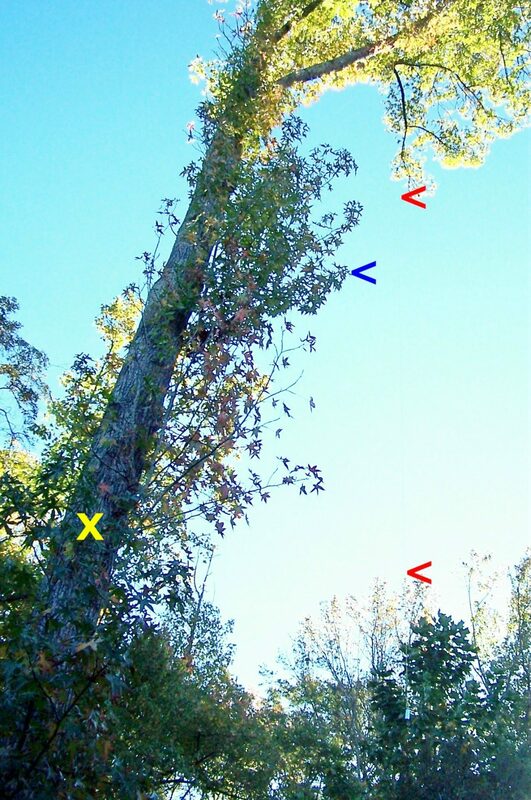 Since the trunk’s diameter is measured 4 1/2 feet above the root flares (not necessarily the ground), unless the flares are visible, it’s impossible to obtain an accurate measurement. Diameter at breast height or d.b.h., is the internationally-accepted standard. We can’t just choose an arbitrary height. Upon exposing the flares (likely for the first time in a decade), we measured the correct diameter at 21 inches (rather than the 19 estimated by our ‘expert’). We measured the correct height at 90 feet (rather than 65). 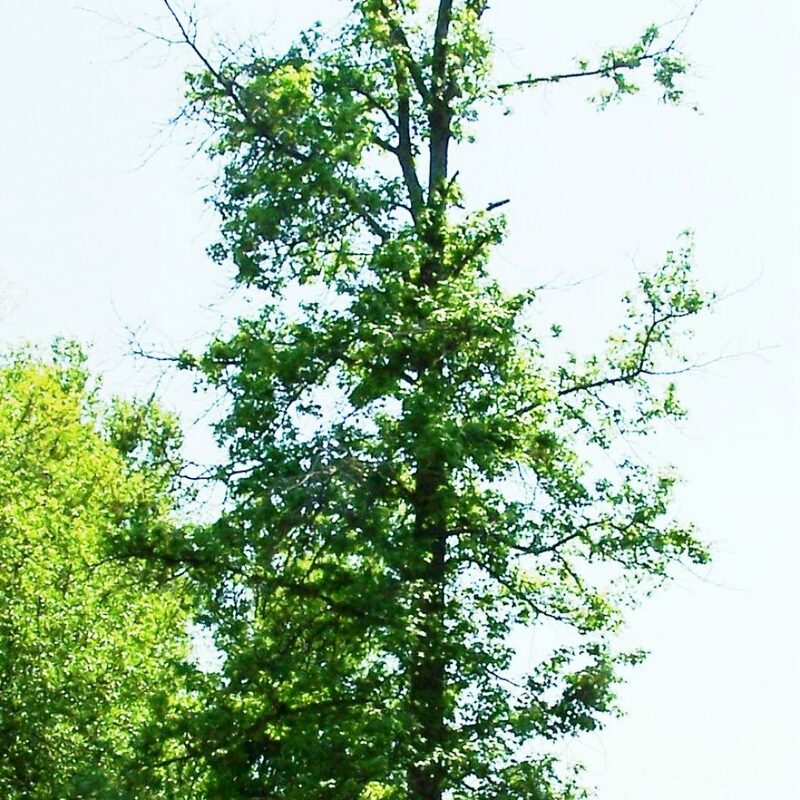 We measured the correct live crown ratio (leaf-bearing crown vs. entire tree) at 40% (rather than 95%). And the prevailing winds were from the opposite direction than reported by our ‘expert’. 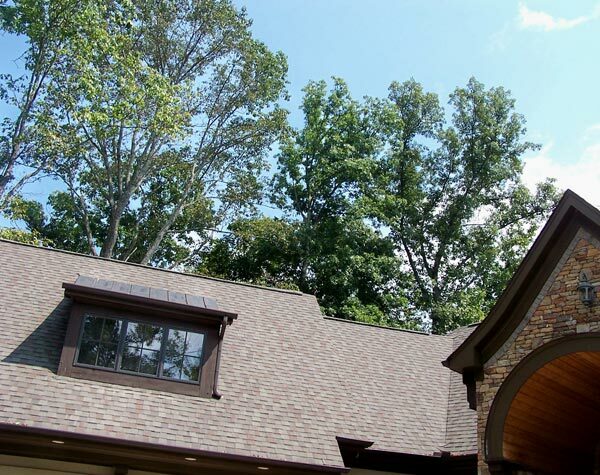 A plumb bob revealed a lean towards our client’s home. 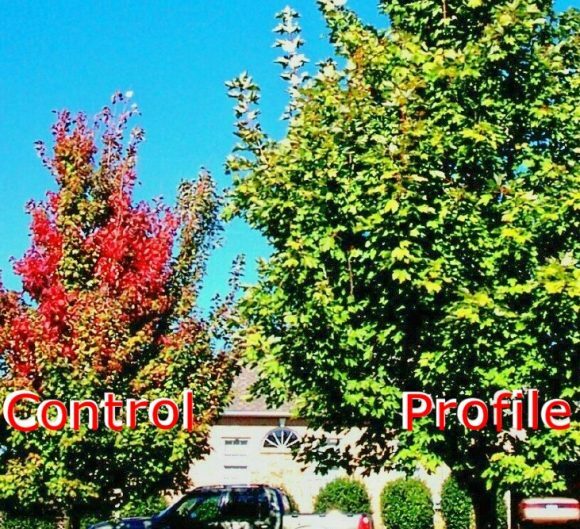 A drone’s photos showed the leaf-bearing crown also favoring his home. 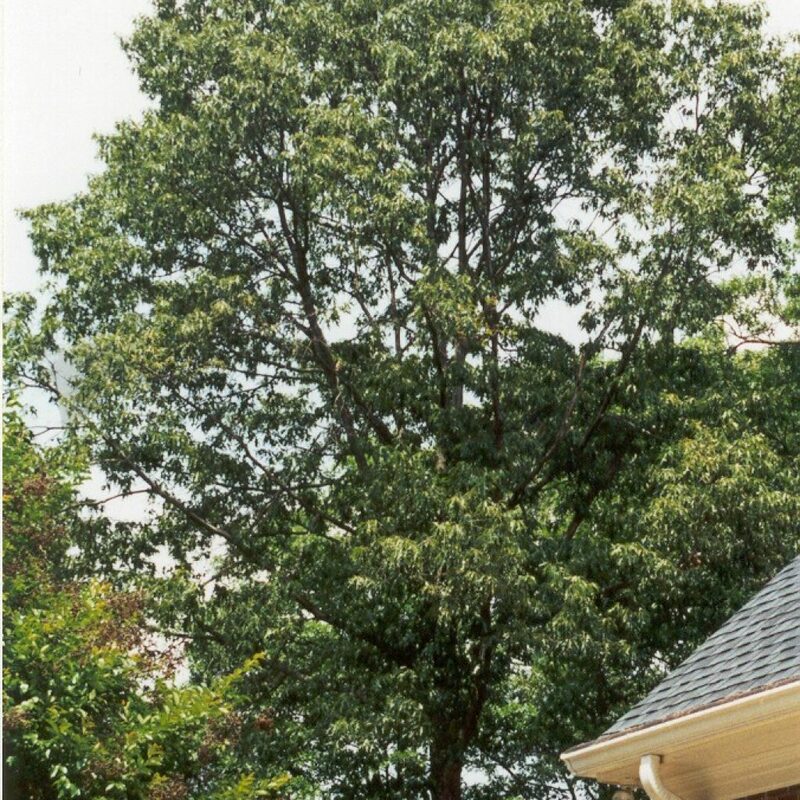 While an important consideration in assessment, a lean and a lopsided crown doesn’t necessarily make a tree unsafe. 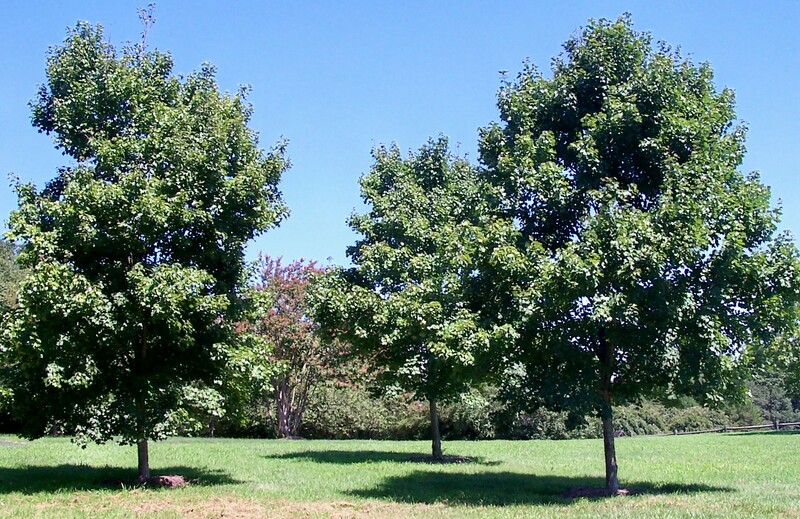 All trees lean and have irregular shapes (what is regular?). 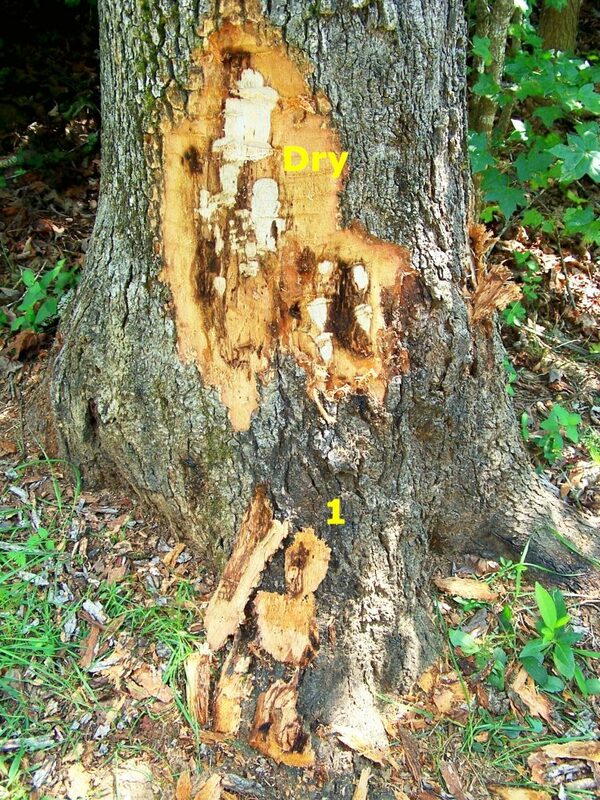 Sounding with a percussion hammer (a proven, non-invasive decay detection method) indicated the trunk was likely solid. The management paying for resistograph testing was unnecessary (it’s soundness was not at issue). Having half the roots buried in several feet of fill for possibly a decade (and likely rotting), and the remaining perpetually submerged in water, were (water had been backing up into these homeowner’s yards for years). A tree’s feet are what anchor it. 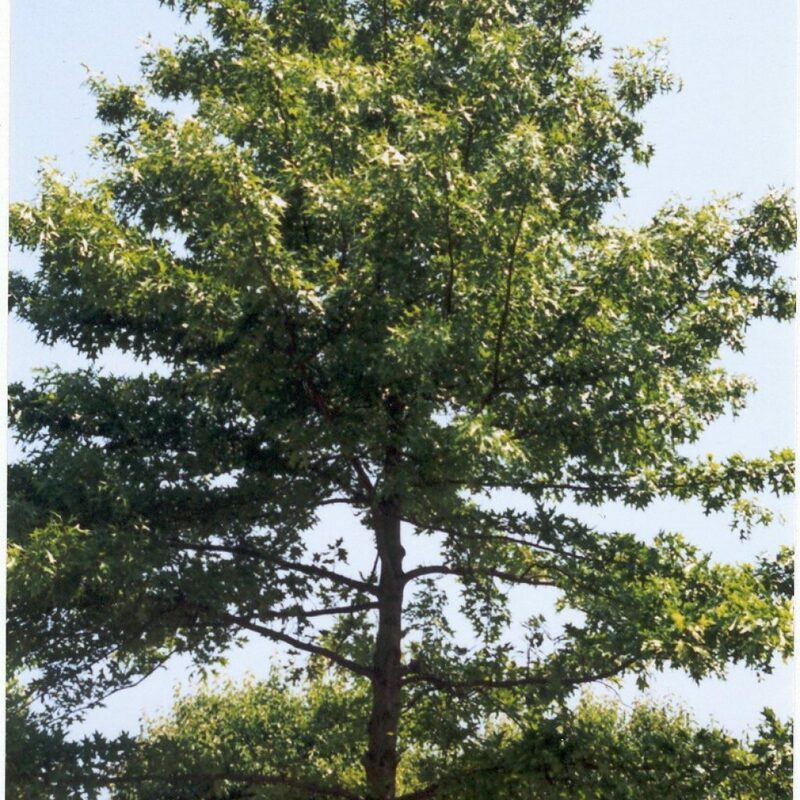 We were pleased to learn, that after our Level 2 Tree Risk Assessment (rather than the obsolete Tree Hazard Evaluation form used by our ‘expert’), saner heads prevailed and this hazard was eliminated. Since, not only does our client sleep sounder, he enjoys a better view (at least, a less threatening one)! 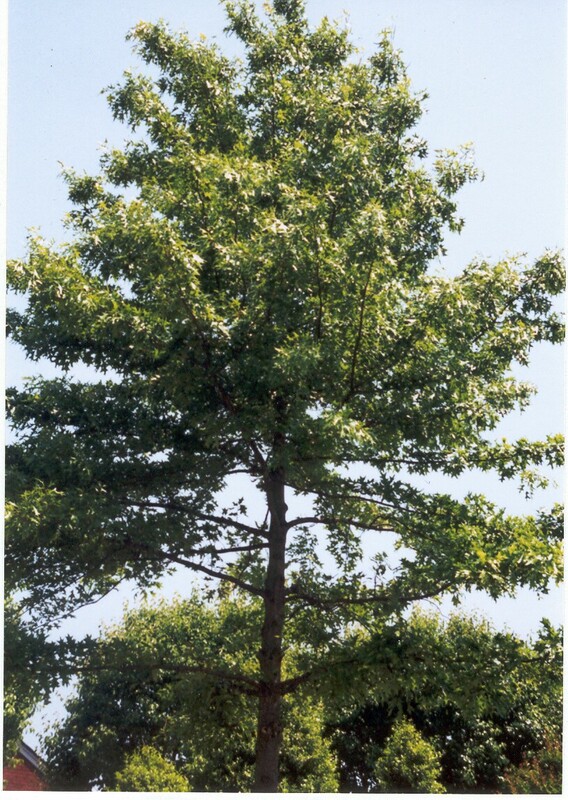 Tree Risk Assessment must properly balance the benefits a tree provides and the risk it presents. 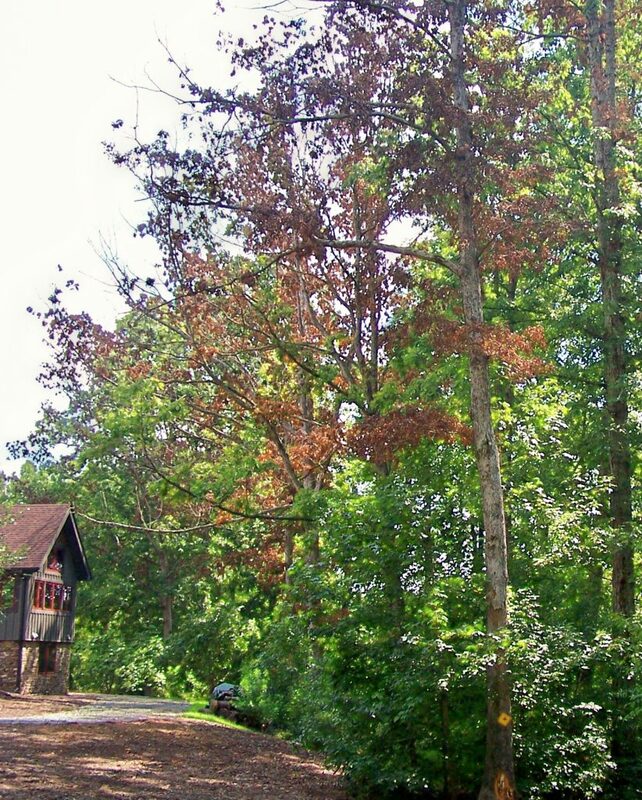 Here, the only 4 homeowners that could possibly derive benefits from this looming forest remnant, could not think of a single amenity it provided, while the fear of its failure lessened their quality of life. Those deciding for them neither benefitted nor lived within its shadow. Assessment, for the Risk Assessor, as well as the Risk Manager (property management company, HOA and owner), is not something one should enter into lightly. Lives and property may be at risk. It usually takes an assessor years to develop the necessary skills. Even the most skilled assessor is not immune to bias. Why expose yourself to unnecessary liability? It makes good sense to get a second opinion, if not, an independent one! A plumb bob impartially shows the lean towards my client's home. The view looks much better now! 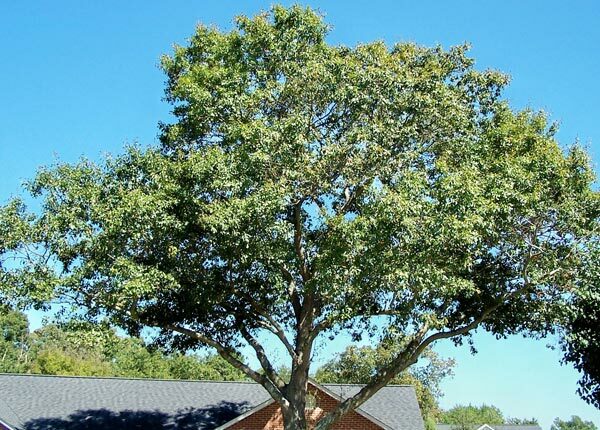 What do you do, if after moving into your newly built home, your shade trees start dying off? That’s what happened to these owners. 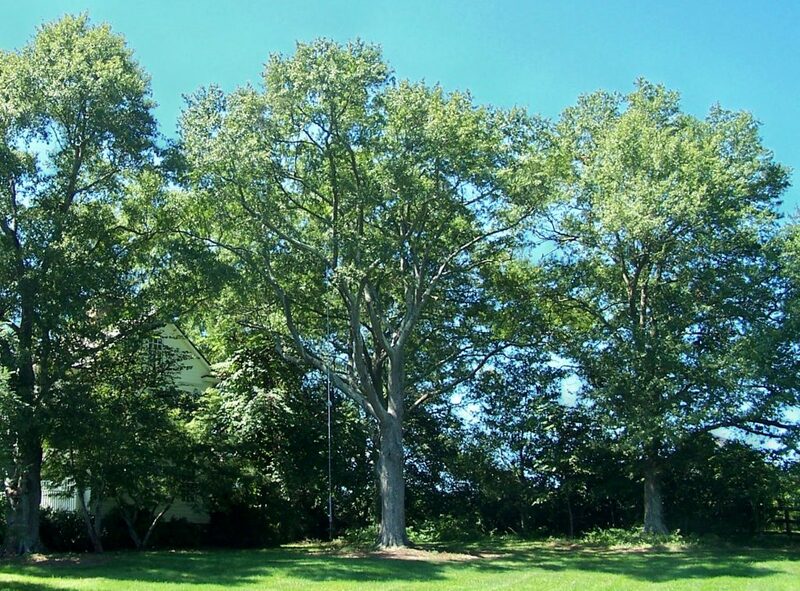 Seemingly, overnight, several mature white oaks turned brown…in the middle of summer. Not a good thing. Not a good thing at all! 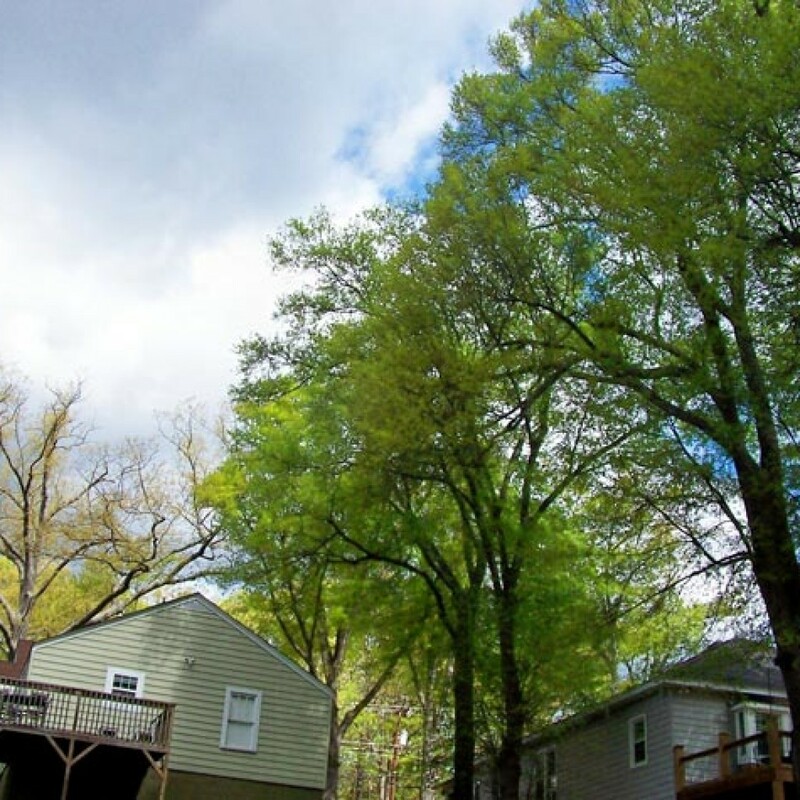 You pay extra for a beautiful wooded lot, so you can enjoy your trees and nature for many years to come. This was not part of the bargain! After area tree services were called in, we were referred by a responsible certified arborist. We immediately went to work to diagnosis the problem. Treating before a positive diagnosis can be waste of resources, if not, make a bad situation worse. We didn’t want that. While new construction (they had no Arborist-supervised Preservation Plan in place) and drought were the obvious stressors, this was not typical. Having ample experience with urban and environmental disorders (we evaluate thousands of such trees each year), this sure looked different. 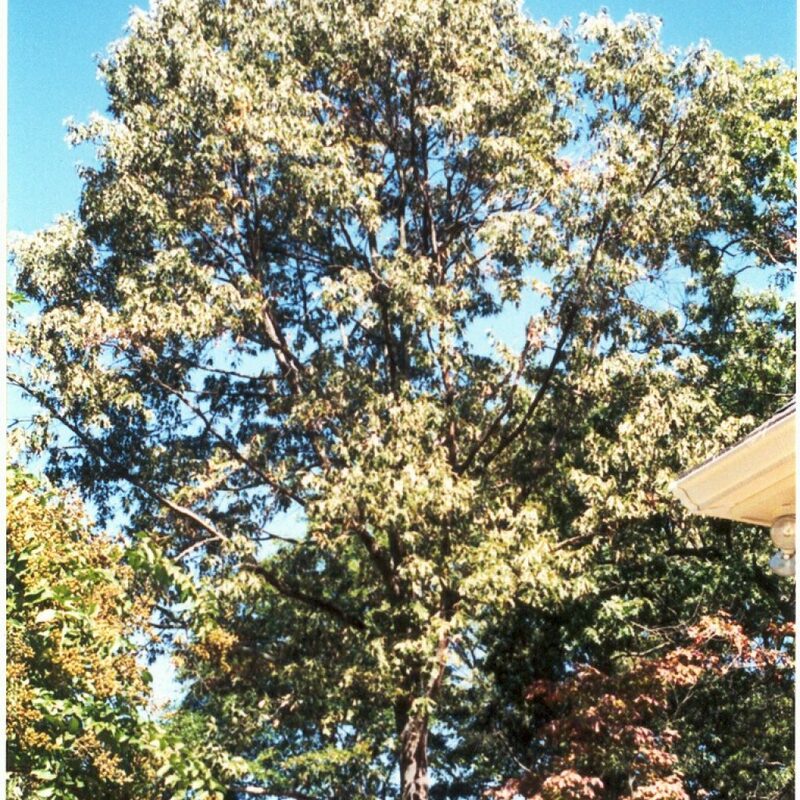 Only the white oaks were dying. In this yard, as well as adjoining properties. 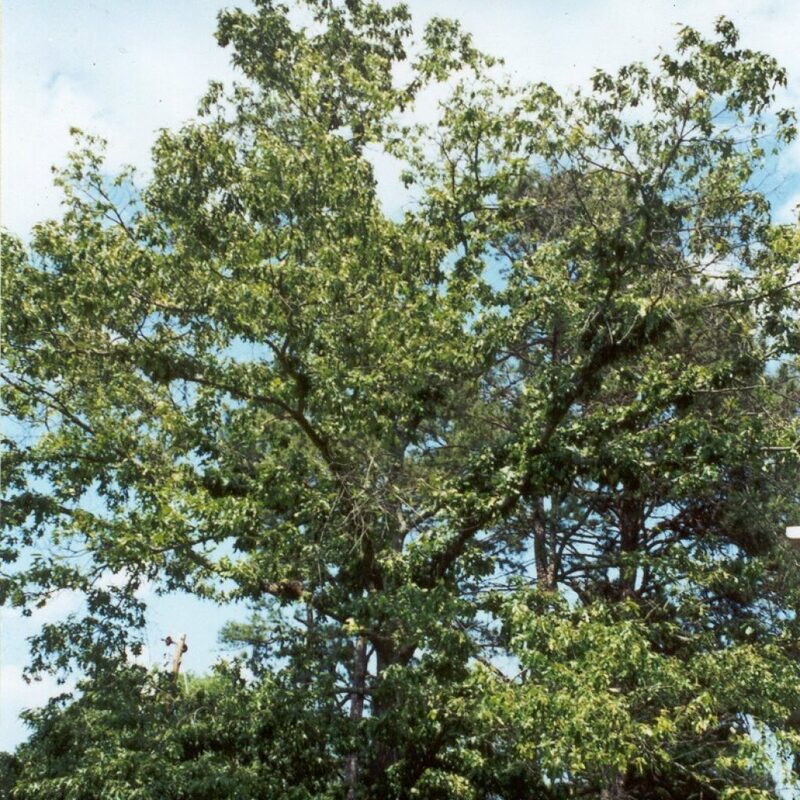 Usually, red oaks are more sensitive to development than whites. No other species were affected. 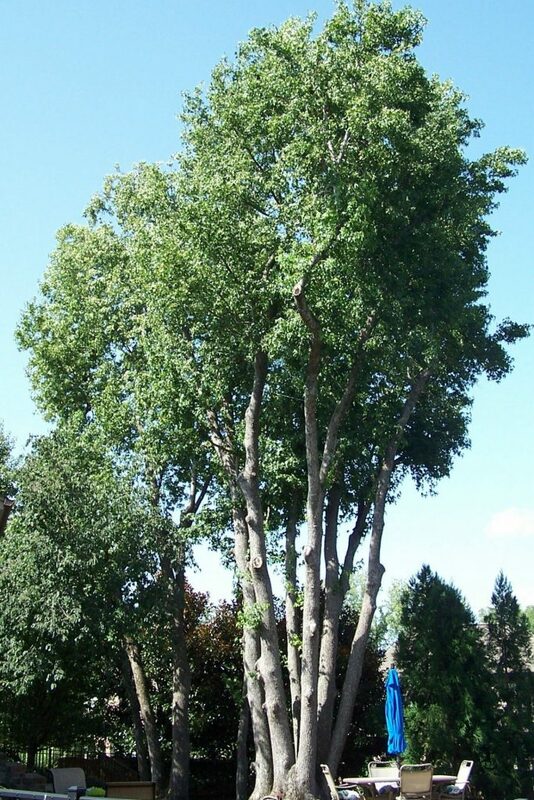 Not the maples, hickories, or even understory plants. This all but ruled out a toxin. Not only was this likely biotic, it pointed to a host-specific pest (other than the kind that walks upright on two legs). After much examination, two batteries of samples sent off to labs, and conferring with colleagues, every obvious pest was eliminated. 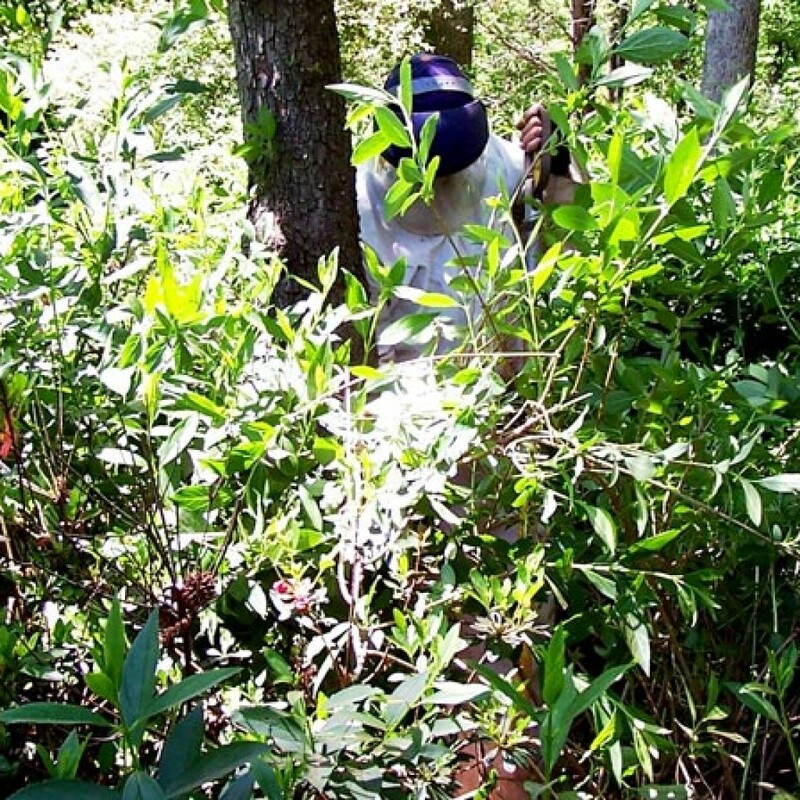 Since the outbreak didn’t spread beyond the immediate area, it probably wasn’t something new (which would have interested more state foresters and university scientists). But 2 weeks had quickly passed by. 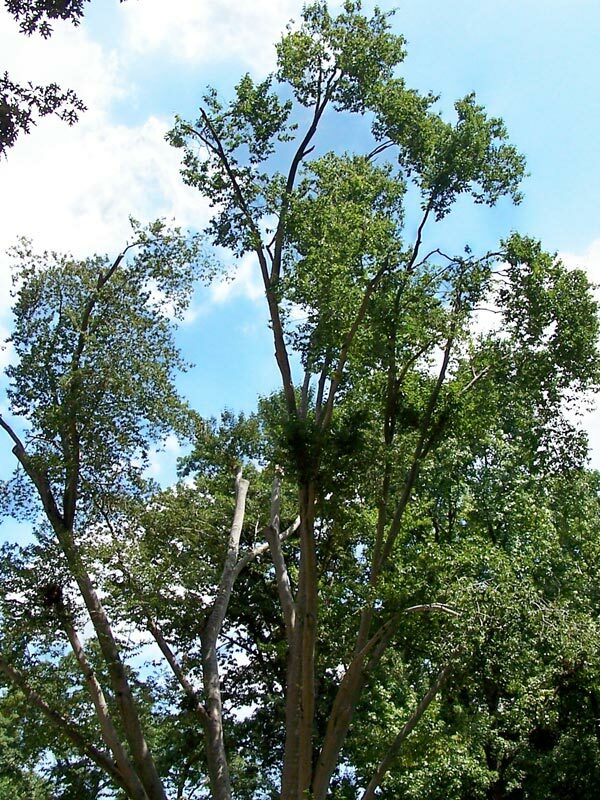 Nine large white oaks were dead. Several others were teetering between life and death. 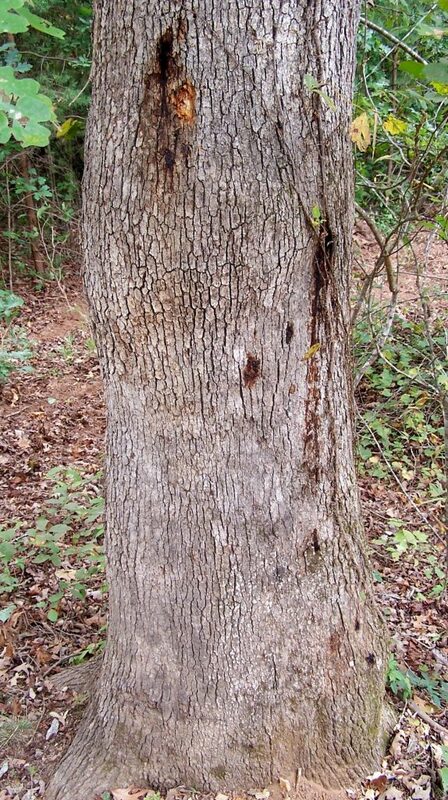 While we always try to find the primary problem before recommending a remedy, if something didn’t happen soon, we would likely loose the remaining white oaks (and possibly other species as well). 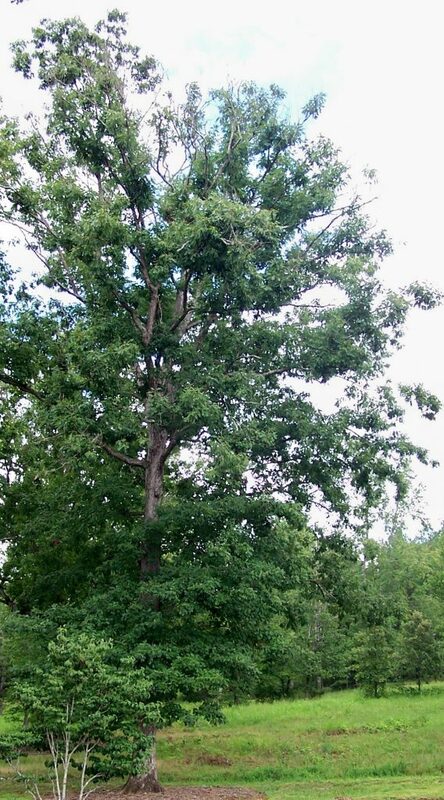 Under advisement of a respected forester and friend, we treated the oaks for borers (though secondary, they were finishing off our trees). Later, we also preformed Root Zone Therapy to improve their health. We never did find the culprit. Such is the case for us a few times a year (though often expected, no arborist or company has all the answers). Had we more time and resources, we probably would have found the primary problem. But we may have lost more white oaks. Maybe all of them. But we did stop the plague. Not another tree has died in the 2 years since. We are now focused on improving the health of their trees culturally, so they won’t be targeted by pests. Sometimes, the ideal has to be sacrificed for the practical. 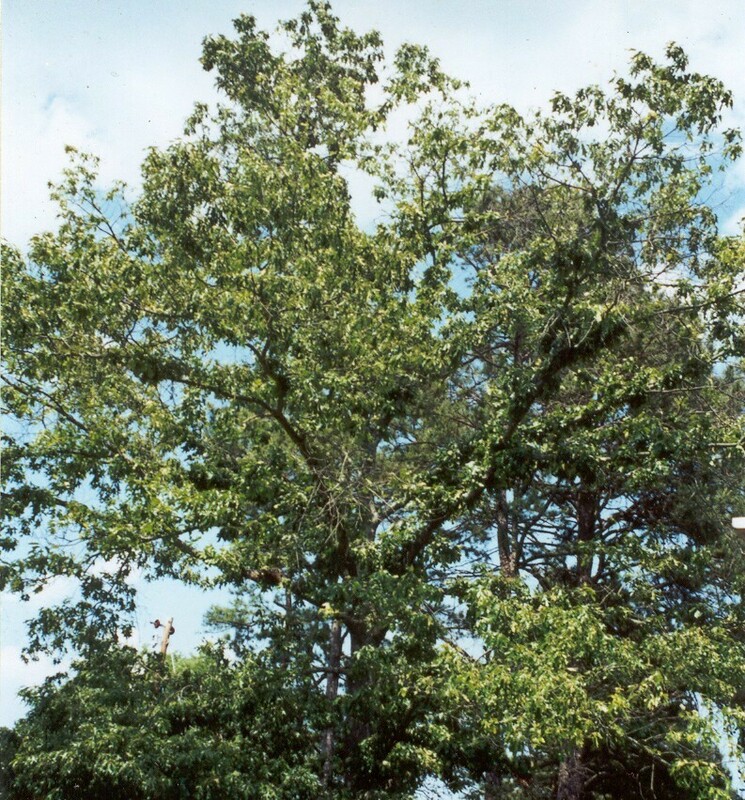 They still have dozens of oaks (as well as other species). While we are nursing back to health several trees that remain vulnerable, their dream of a home in the woods has been preserved. Not another tree died! Even this white oak, which was heavily infested with borers. was saved. 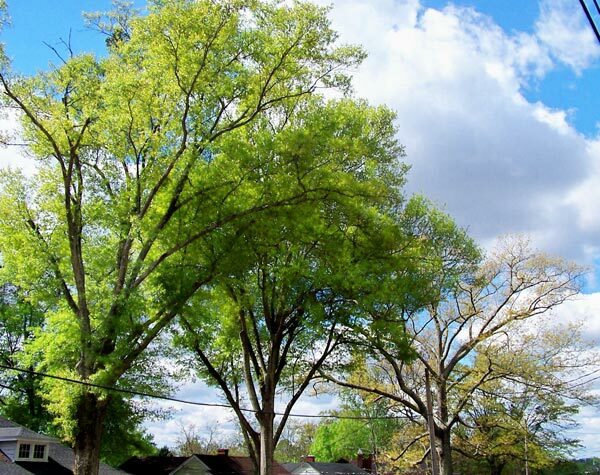 “My husband and I were devastated with the pending loss of nine beautiful white oaks next to our new home. 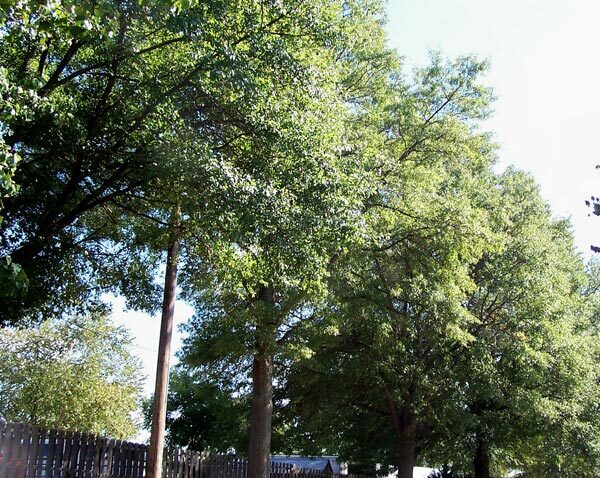 We chose the site because of the lovely trees. Randy was highly recommended and quickly proved his value. He went above and beyond to sleuth out the likely problem. The grass was brown and the trees were leafless on this late spring day. 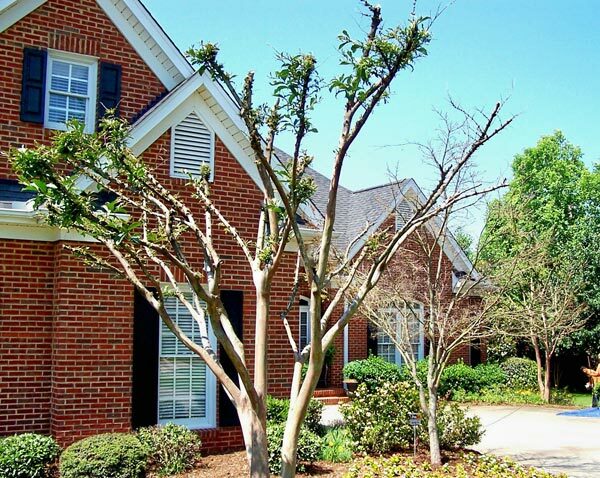 Based upon leaf deformities, rapid defoliation, and an on-site soil test, we suspected the presence of an herbicide-like chemical and treated the root zone of this homeowner’s quickly fading trees. Our rapid response would prove crucial! Later we learned that while the owner was away on vacation, several thousands of gallons of hydraulic fluid had been accidentally discharged into her small cal-de-sac. The authorities failed to notify her. We were able to save all but one of her trees. Her neighbors were not as fortunate. 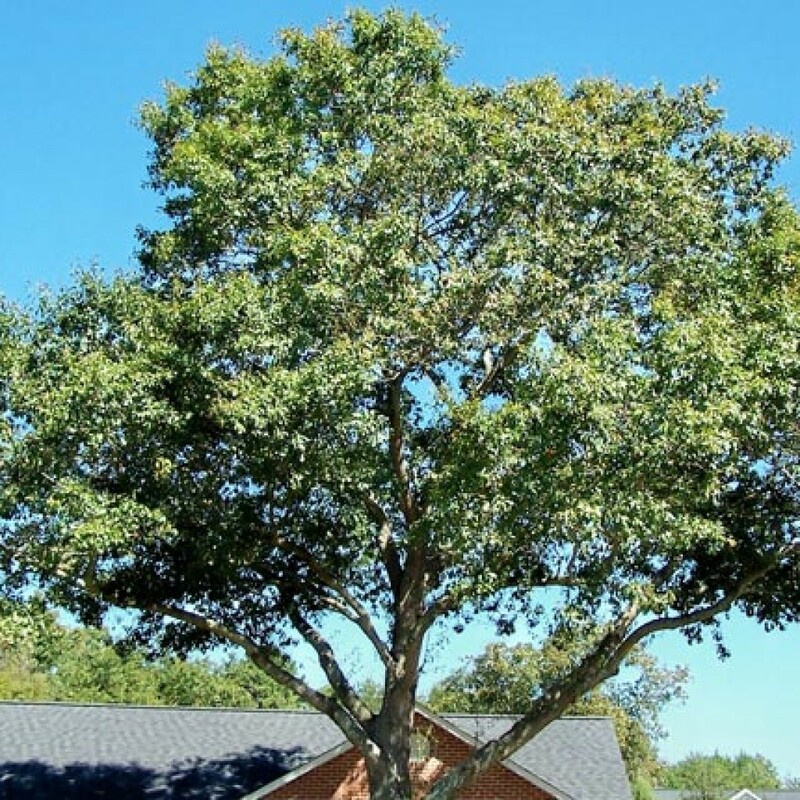 When we were contacted by an insurance adjuster to do an appraisal of several large oaks on a municipal property, we wondered how we could help, seeing that they already had appraisals from some of the largest tree services in the state. 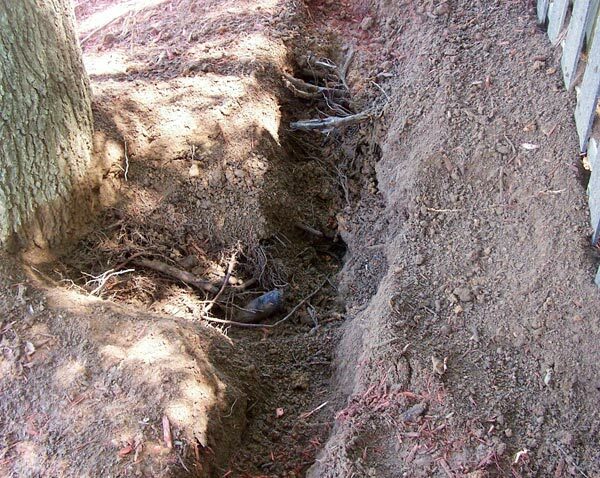 Because of a utility contractor’s trench, all four companies were in agreement: the trees were dangerous and required immediate removal. The manager wasn’t satisfied. For some reason, he felt there was more to learn—and that we could help him find it. We were surprised to discover none of these ‘experts’ performed a Root Collar Inspection, let alone excavate the trench that brought us all here. How can you assign tens of thousands of dollars in damages when you haven’t proven it? 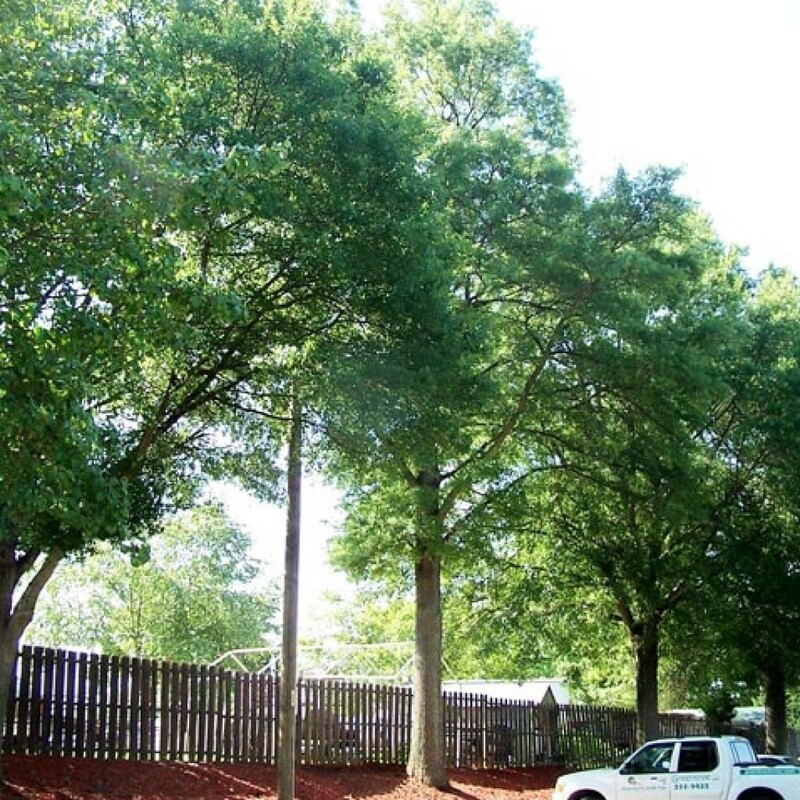 Let alone deprive the public of these trees, and the many benefits they provide? We were baffled to find no large roots on the trench-side of these trees. Where had they gone? What was holding up these large oaks? 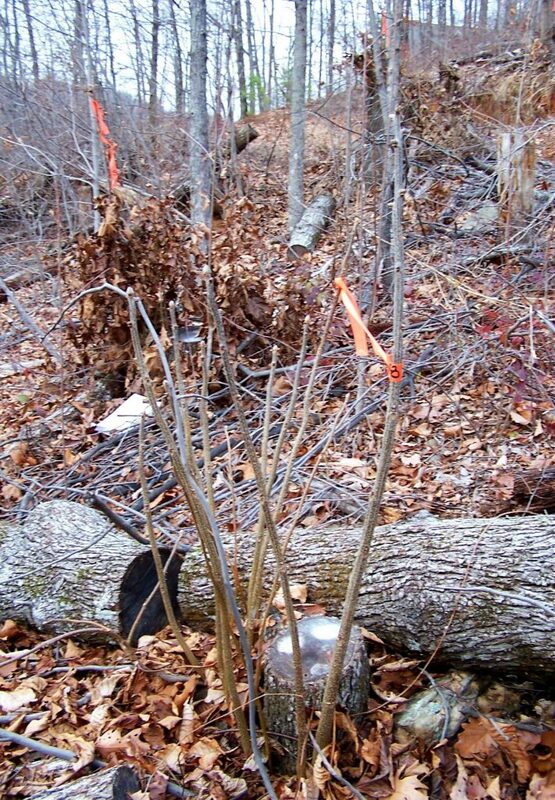 It was only through research that we found these trees had been trenched several times in the past, and were simply putting out anchoring roots in more ‘convenient’ places. We see a similar response to soil erosion along the banks of our creeks. The trees were not removed. Not only did they not fall down, if anything, three years later, they look even better! “Randy, thank you for your hard work and timely appraisal. Your report was very impressive, detailed, and exactly what our client was looking for. Everything was in order and professionally done. This story is better told by the owners. 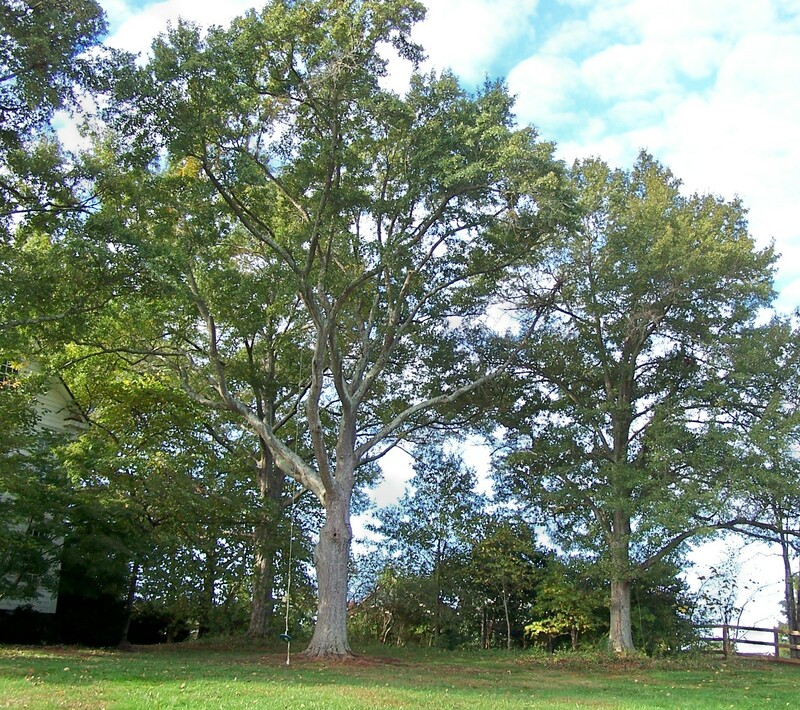 “We first fell in love with our house partly because of the beautiful, old hardwood trees that surrounded and lined the property. 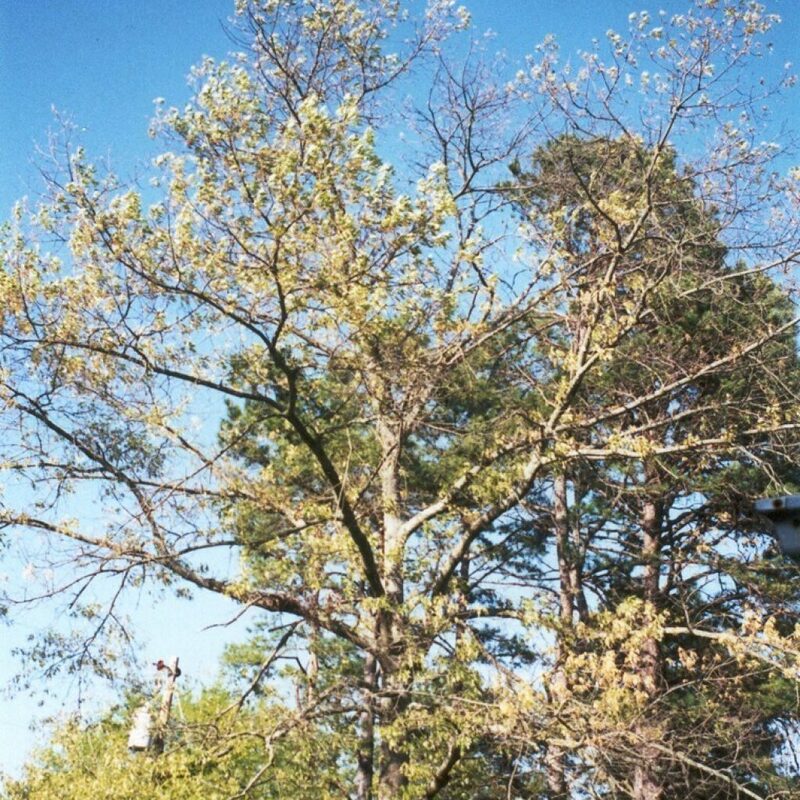 When we suddenly had two fall due to rot, we were concerned for the safety of our family and pets, our home, our neighbors’ homes, and children playing near our lot. 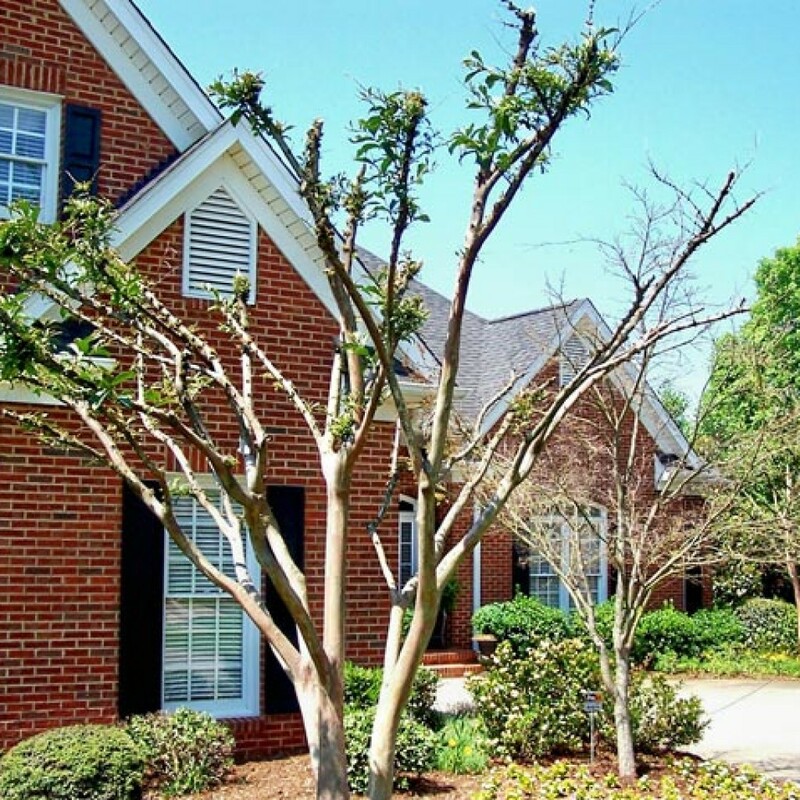 “We had seven different tree services evaluate our situation and were given seven different opinions ranging from the removal of all trees (13+ trees) to the removal of only one, with the cost ranging from $3,000 to $15,000!! “In the blink of an eye, our beautiful landscape was possibly going from a private, quiet and shaded oasis to an open fishbowl. We were heartbroken and almost began to regret our decision to move to our dream home…until we met Randy! 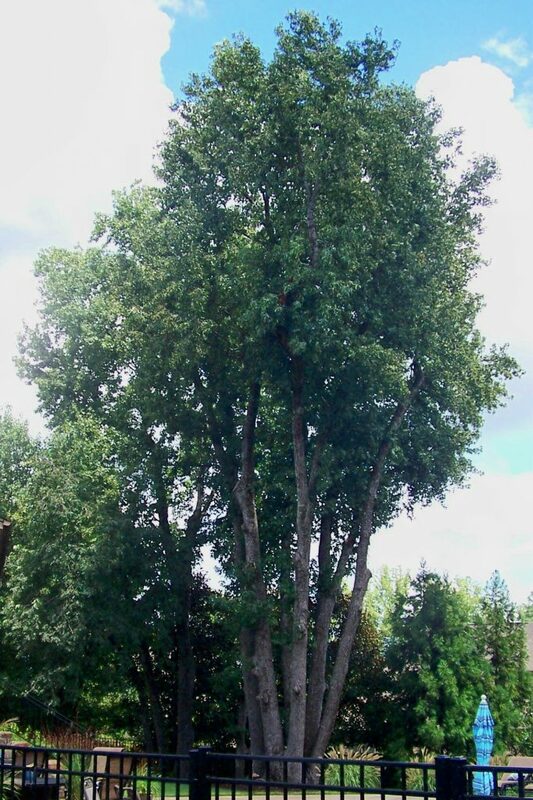 “We received Randy’s name from one of the tree services and gave him a call. He came out the next day! Randy brought his doctor’s Bag of Tools and his years of experience. He began by simply scouting out every tree, carefully looking from root to tip. He gave a knock here, a dig there, a few nods and walked us through exactly what he saw and found. Then he asked us, ‘What is your vision? What is your objective? What is your main concern?’ We discussed all of this with Randy and came up with a plan based on his findings and our vision for our property. 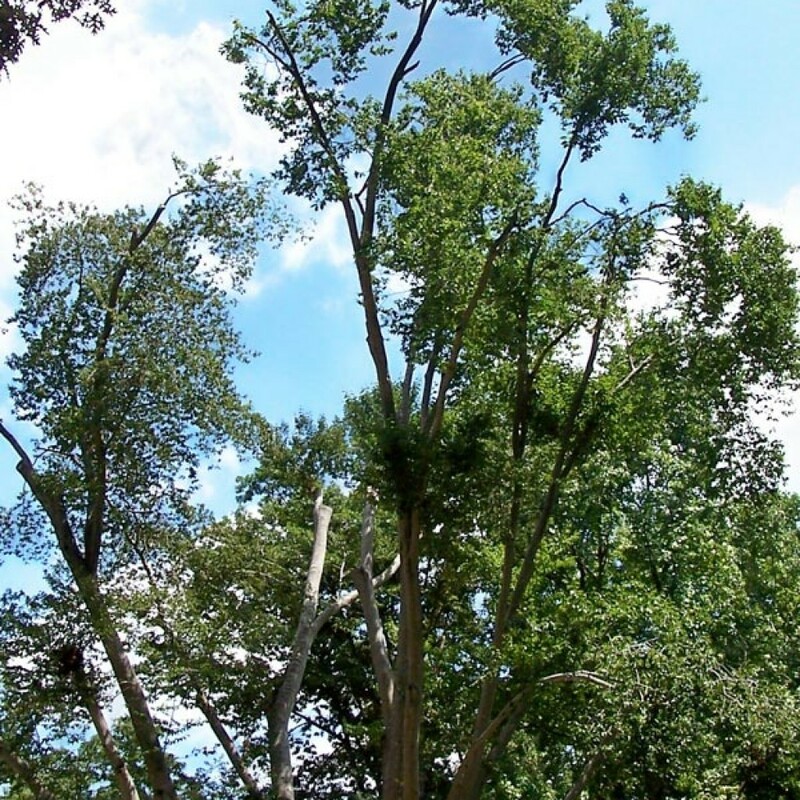 As is the case with every job we do, we conducted a Class 2 Tree Risk Assessment (Hazard Evaluation) and Health Diagnosis before prescribing a treatment. 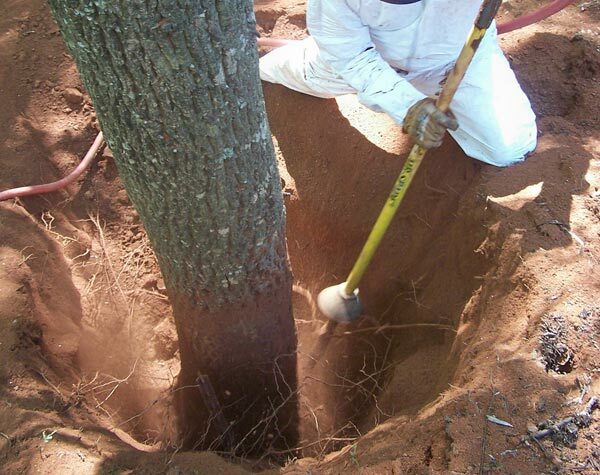 We performed a Root Collar Excavation on her maples, removed girdling roots that were choking them, as well as air-fracturing the surrounding compacted soil. 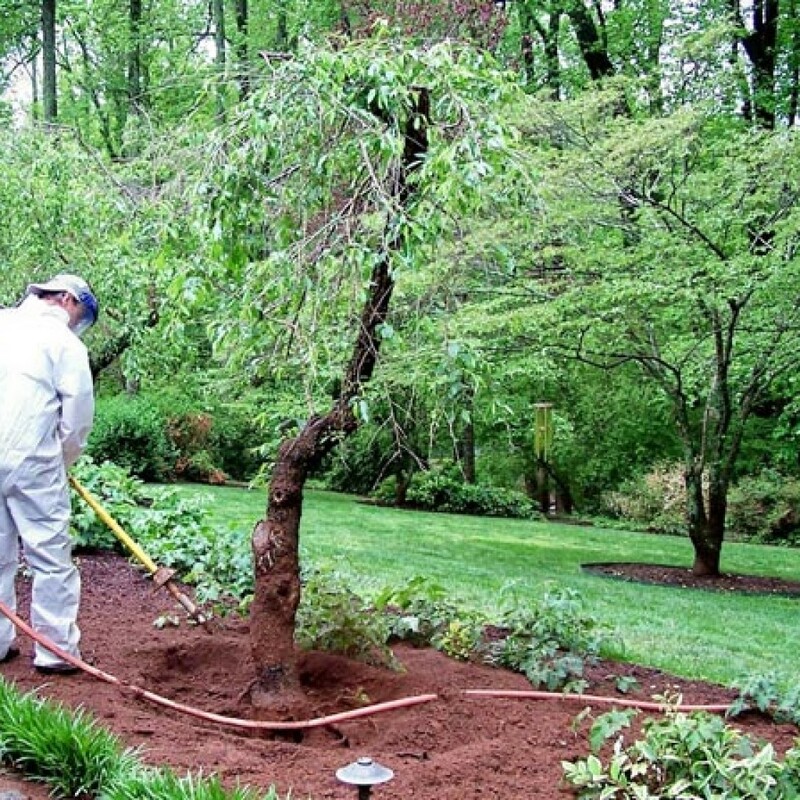 While almost all ‘professionally-installed’ trees suffer due to poor planting, since maples and cherries are surface rooters, they are even less forgiving. In the four years since, her trees not only look better than before, they look better than her neighbors. Not only do we have experts from across the Country pour over this website with a fine toothed comb, we bring in experts from across the South to examine our work. Not only do we feel we owe our clients this degree of professionalism, we learn much through the process. 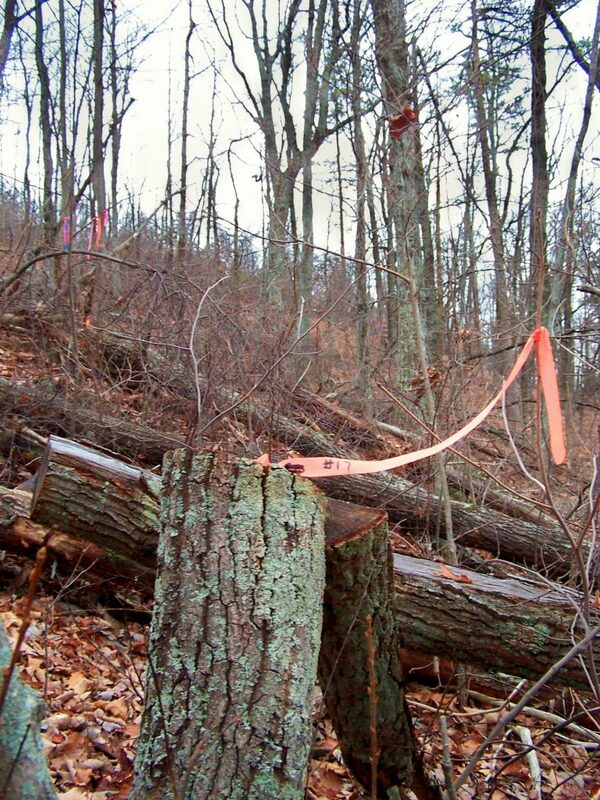 During our recent recession, Upstate tree farmers had difficulty selling their trees. We were contacted by one of these farmers, who wanted to donate his trees. We did an appraisal on his trees. We were later contacted and hired by Pickens County. 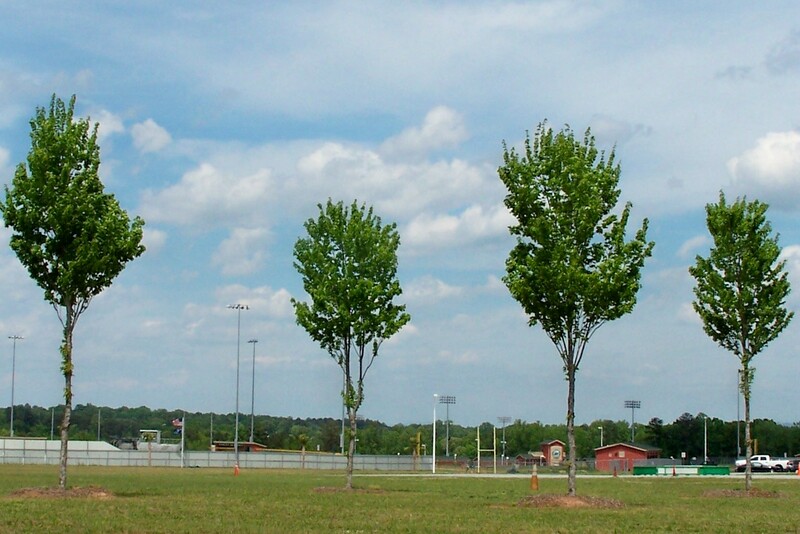 The farmer’s trees were donated to Pickens County, which was in the process of building nine new schools. This gave the farmer a substantial tax break. Now, all we needed was someone to do the planting. We invited landscape contractors from across the Tri-state (North Carolina, South Carolina & Georgia), and met at the gentleman’s tree farm. At the pre-bid, we set planting specifications. 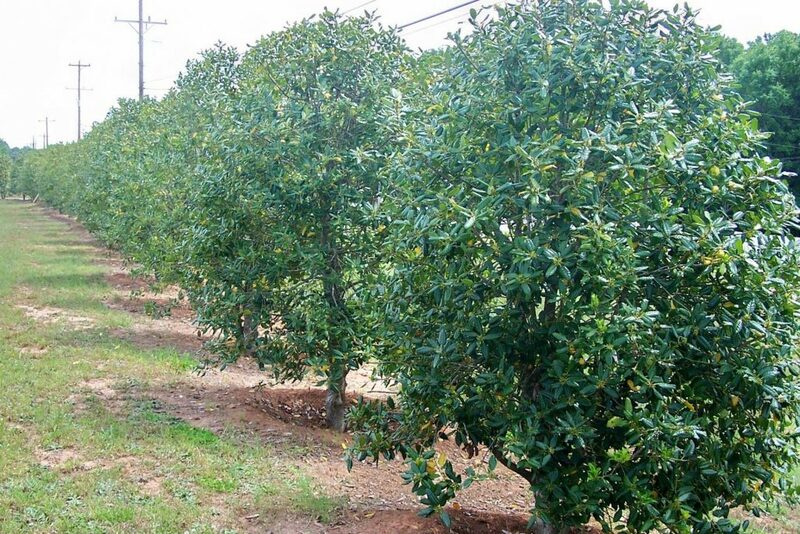 Some companies were hesitant to bid on a large job involving thousands of ‘non-irrigated’ trees. But this would work in our favor. 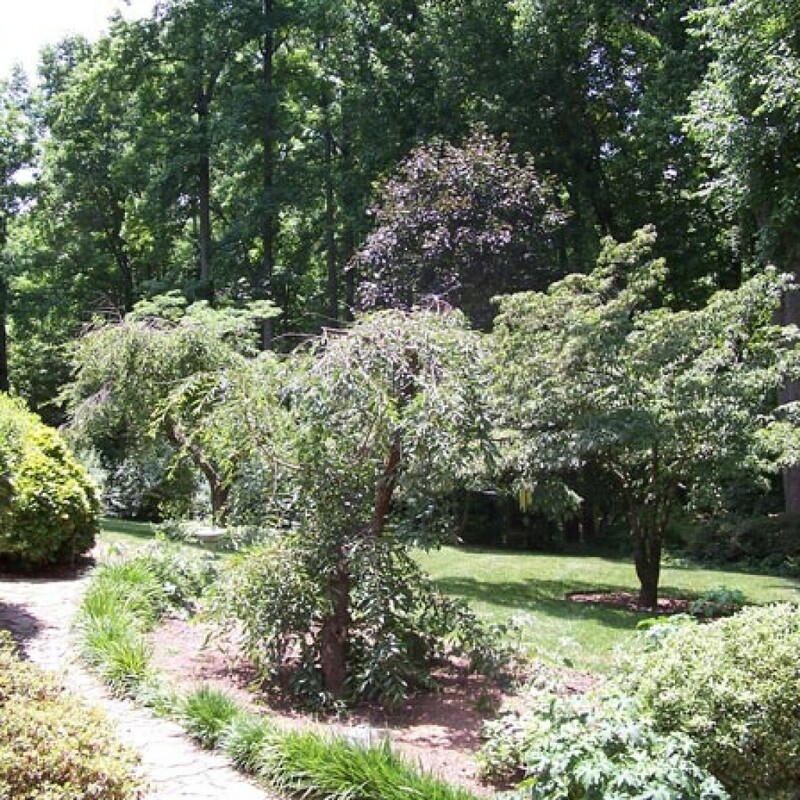 A few years ago, we received a call from the landscaping contractor that won the bid. He informed us that their loss rate was less than ½%—a 50% loss is more typical! 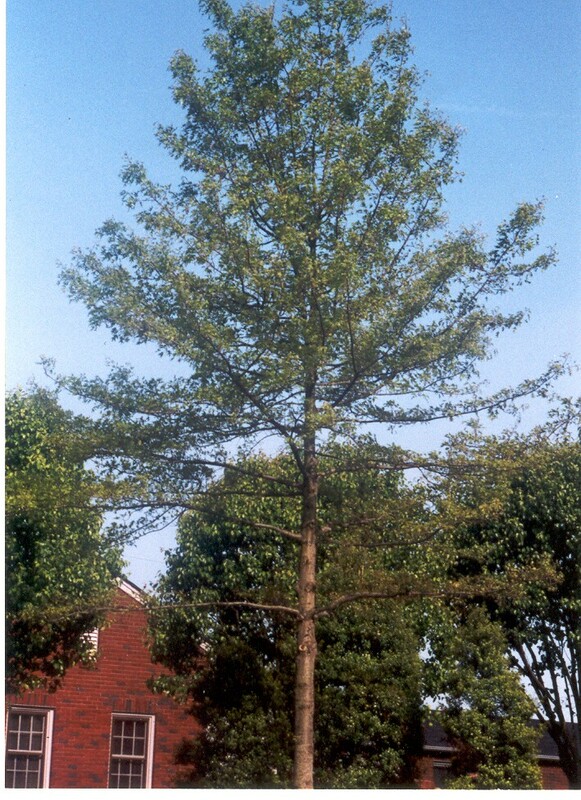 Irrigated trees would have had a more difficult transition to a non-irrigated landscape. Of course, we had to see these trees for ourselves. During a bad economy, when nothing green was moving, a farmer, a landscaping company of 30 employees, and a school district of several thousand children, benefited (not to mention, this consulting firm). Though we have searched for trees across the Continent, we found this live oak (Quercus virginiana) in our own backyard (Charleston). 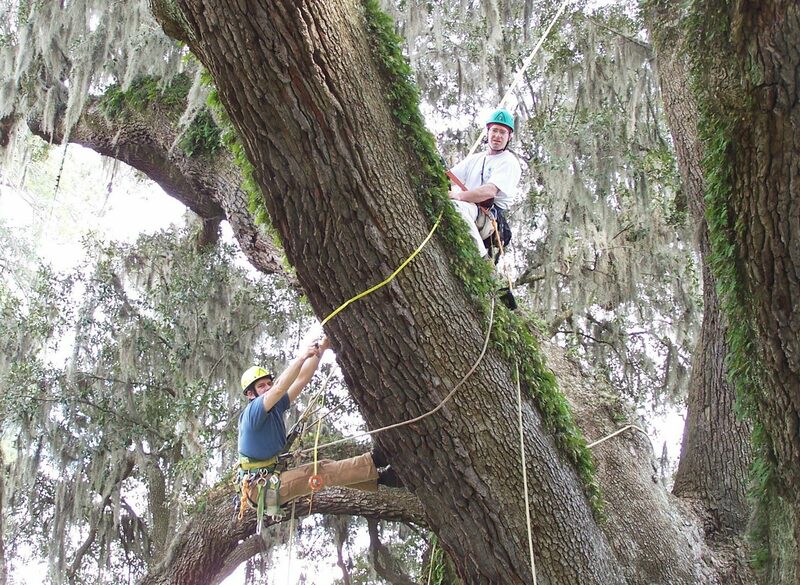 Our company, in association with Will Blozan and the Native Tree Society, and Dr. Robert Van Pelt and the University of Washington, located and organized the measuring, mapping and modeling of this tree during a 2-day climb in February, 2004. 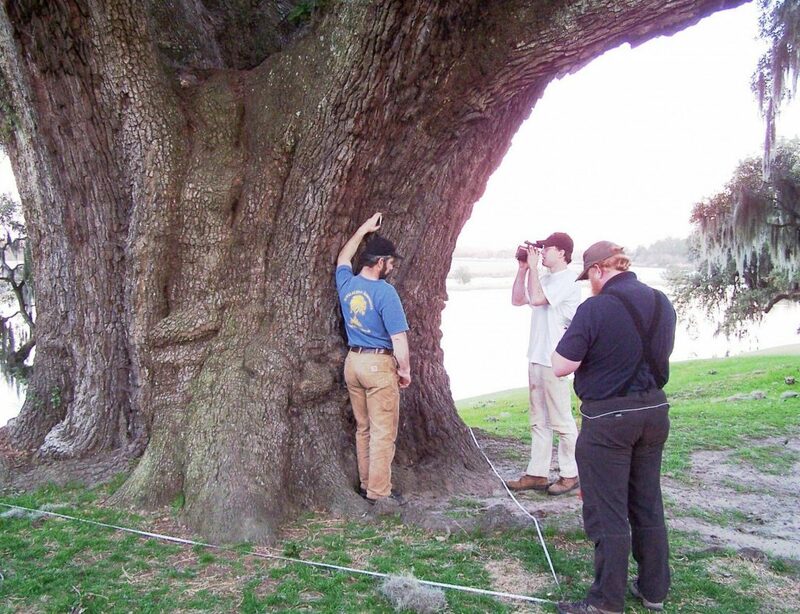 At nearly 5,000 cubic feet, it became the largest officially measured tree in the eastern United States, and forever changed the way we look at and measure trees in the East. Since, a hurricane has blown a third of the Middleton away. We are currently looking for a new candidate. Do you have one in mind? “These are exciting times. The importance of the Middleton Oak Project to us isn’t just in the mapping of this one great tree, but in the imagination that both tree and project stimulates. 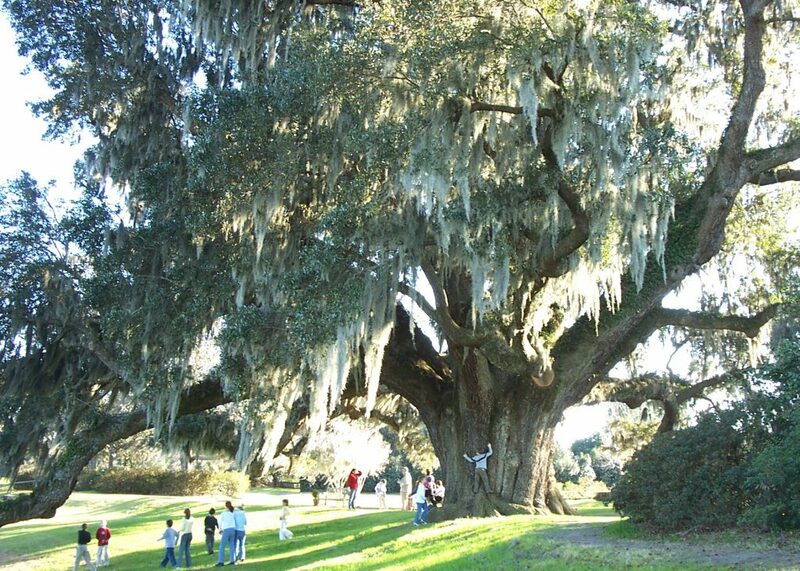 The Middleton Oak and other live oak giants of the Southeast may help us to recapture the mystery of the great trees. The shapes of these oaks jar us out of the well-behaved timber model. I would imagine Randy Cyr and Will Fell are pretty pleased with the results. We are indebted to all of you for completing this mission. 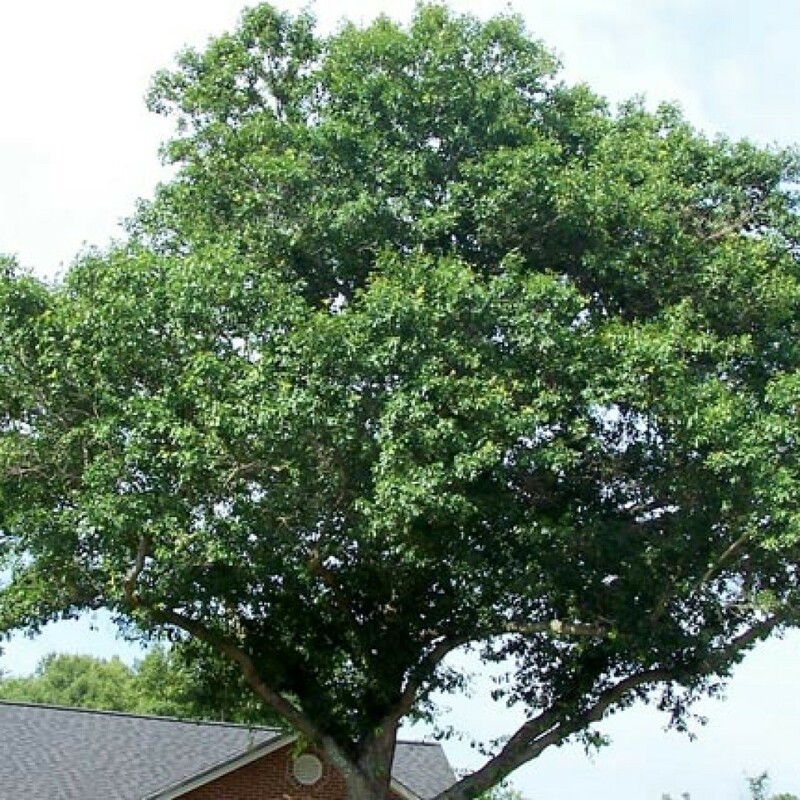 There are two times a year when even a layperson can compare the health of their trees to their neighbors’. 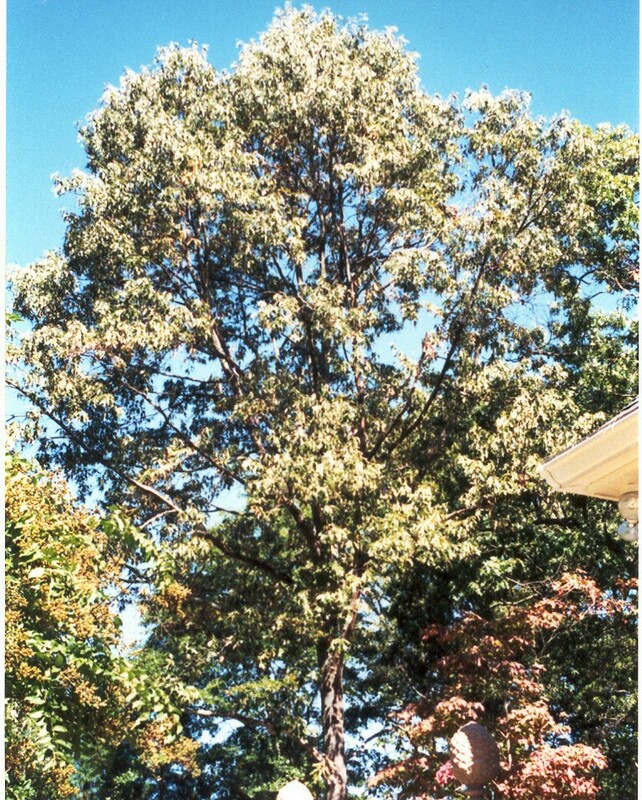 In the spring, when the leaves first put out, and in the fall, when they first turn color (in comparison to others of like species and varieties in the area). 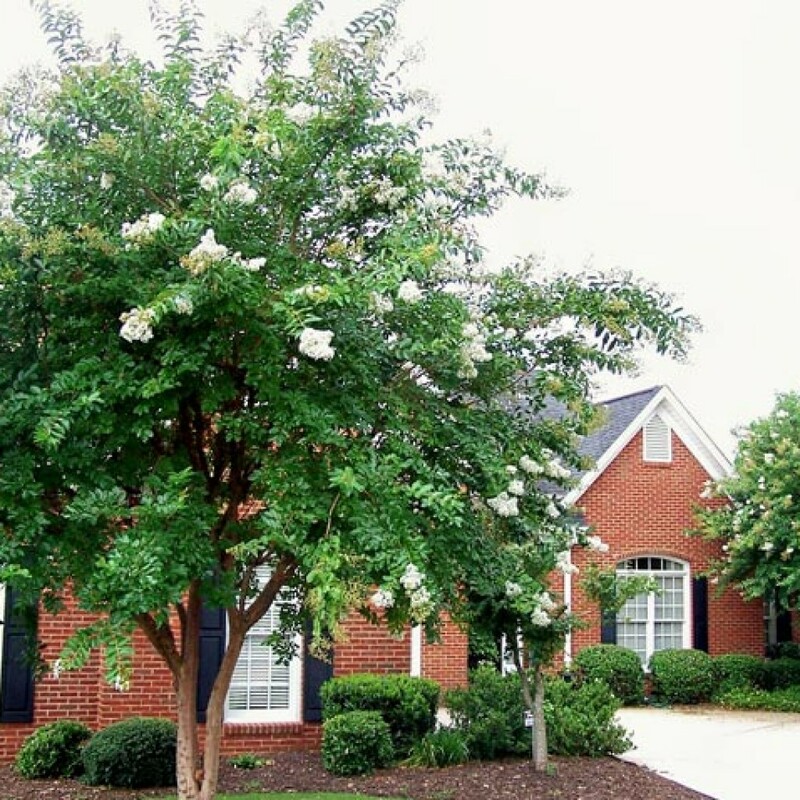 Having the best looking trees in the neighborhood is no accident. 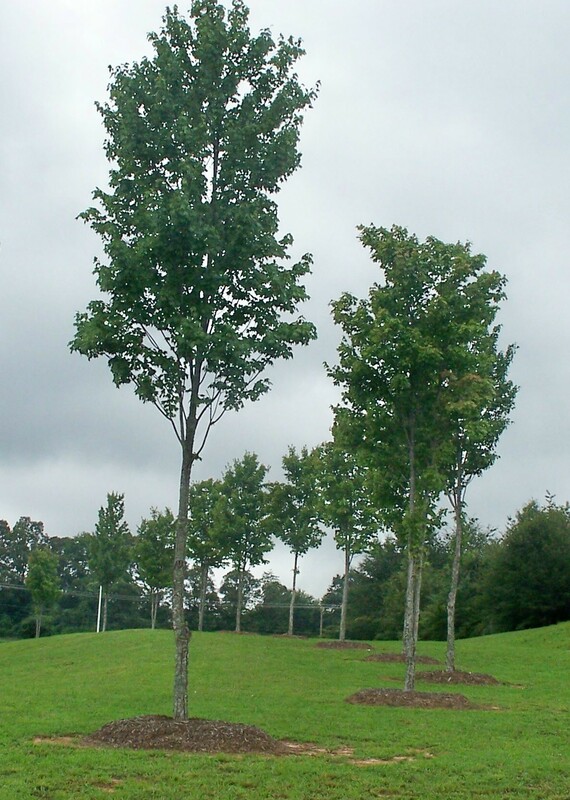 Unlike other companies, we treat the soil rather than feed the trees. The stark difference can be seen in the green in their trees, as well as the green in their wallet. 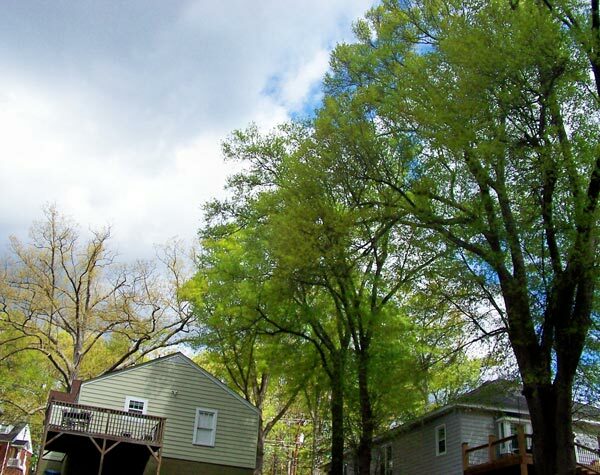 Just take a look at their water oaks compared to their neighbors’. 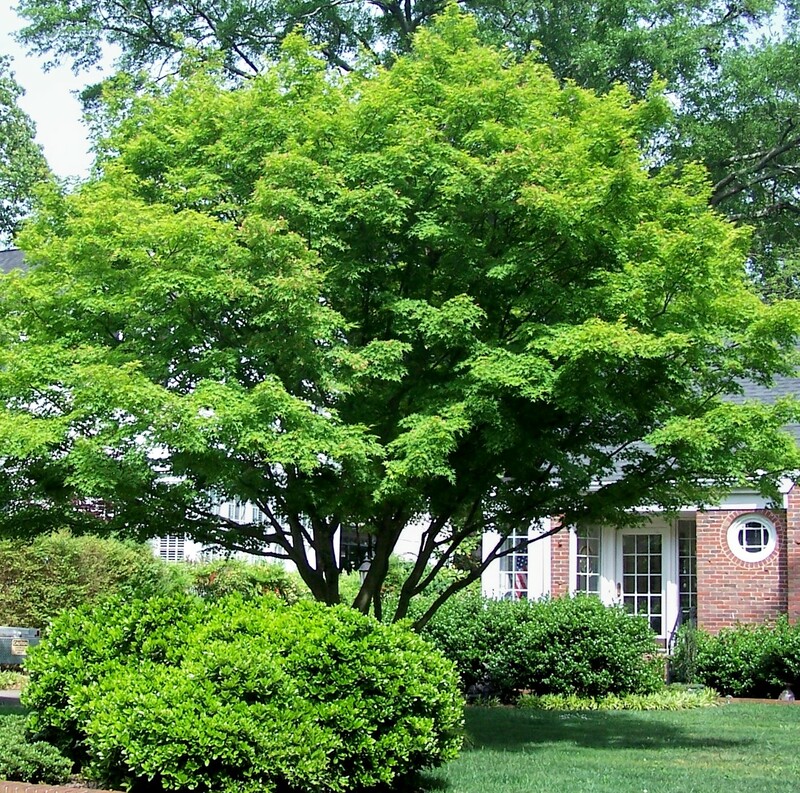 “Though it’s been a few years since you fertilized, our water oaks look much better than our neighbor’s. While their leaves are just starting to come out, ours already have full grown leaves. We live off referrals. We receive every referral with a sacred trust. If you refer our company, you can bet we’ll take great care of your family, friends, neighbors, and clients! 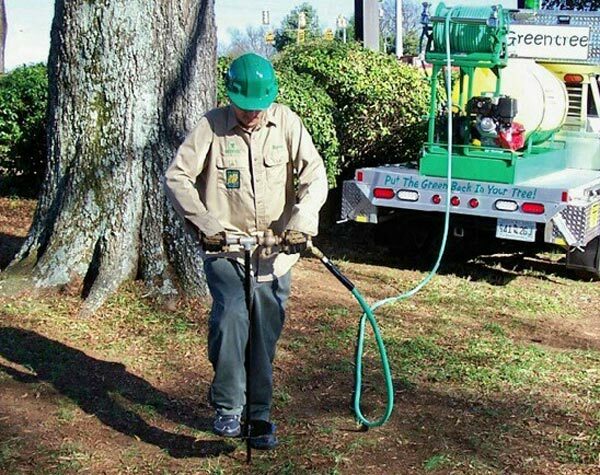 “I have been referring Greentree to my customers who need accurate tree health diagnosis and treatment since Randy Cyr moved his company to Greenville around 1996. 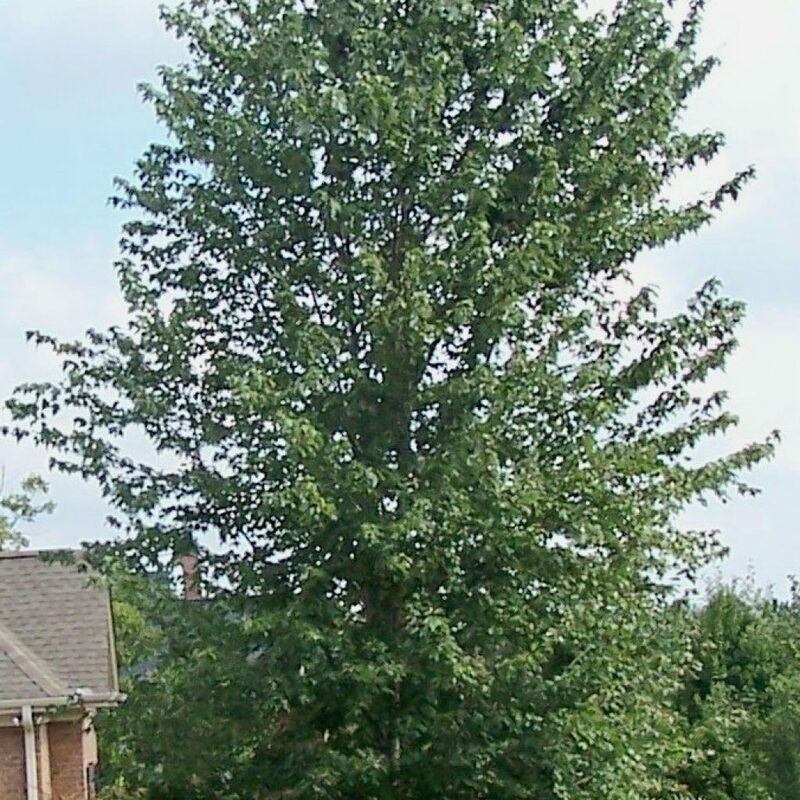 My customers have enjoyed prompt service, and have seen their tree’s health improve, many times dramatically, from Greentree’s care. 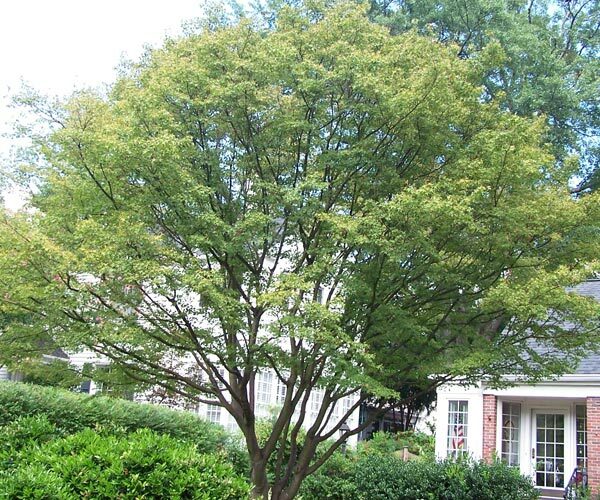 “Greentree gives good value for their services and their fee includes return visits to monitor the trees they treat for up to 3 years after treatment. 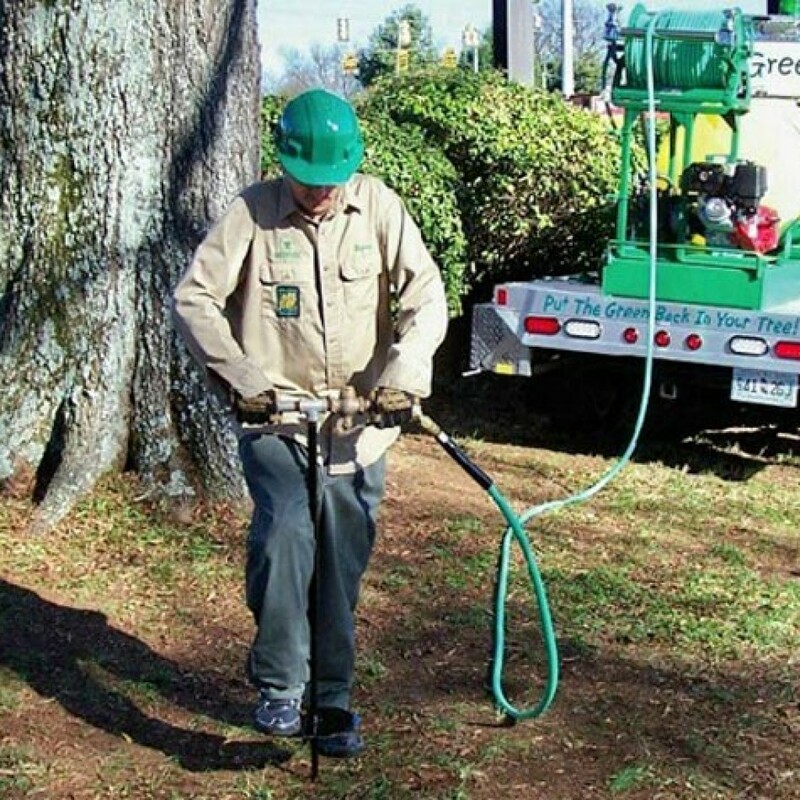 I don’t know any other tree care company that shows such commitment by following up on their own work, and reporting to the customer if they see a problem. Stressed Oaks & Maples; Root Zone Therapy to the Rescue! 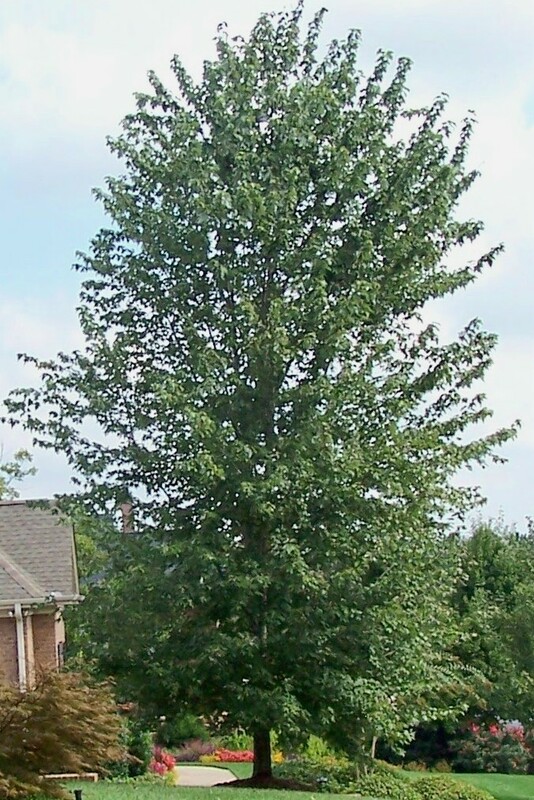 “Several years ago, Greentree was recommended to us by Hudson Blough of American Tree & Land Co. We had 9 trees of various age that were having problems. 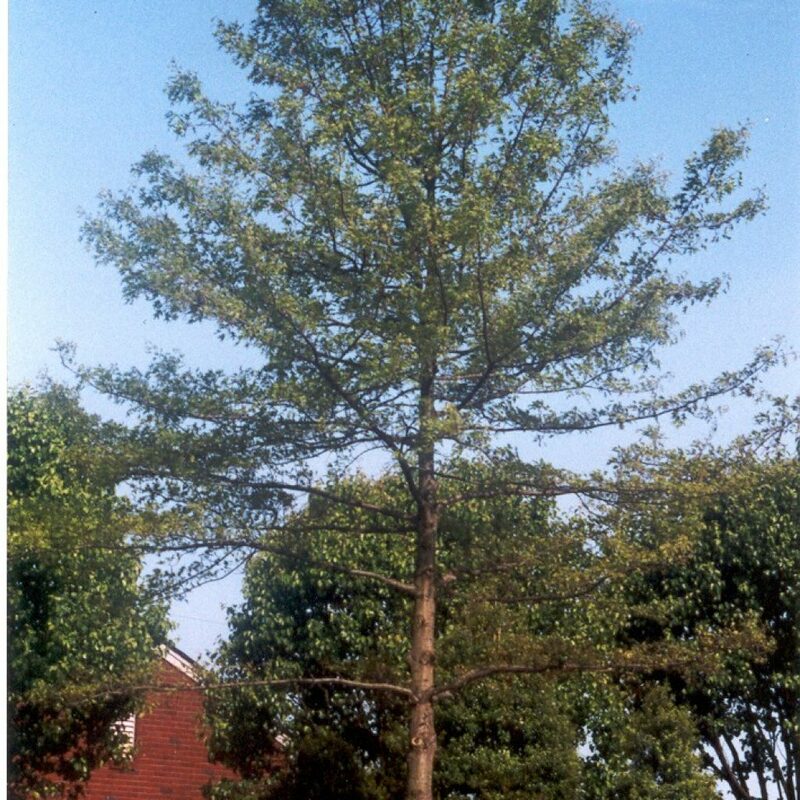 A local tree company had even recommended one be cut down because it would not last 6 months. 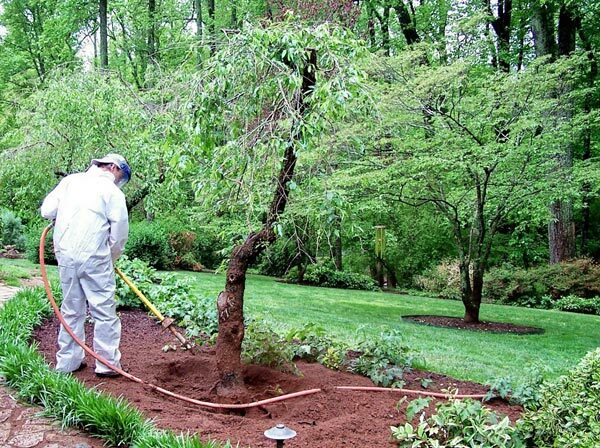 We called Randy, he came out, performed a diagnosis on all our trees, and started treating the trees and the soil that needed help. You can't cut trees that don't belong to you and it go unnoticed. 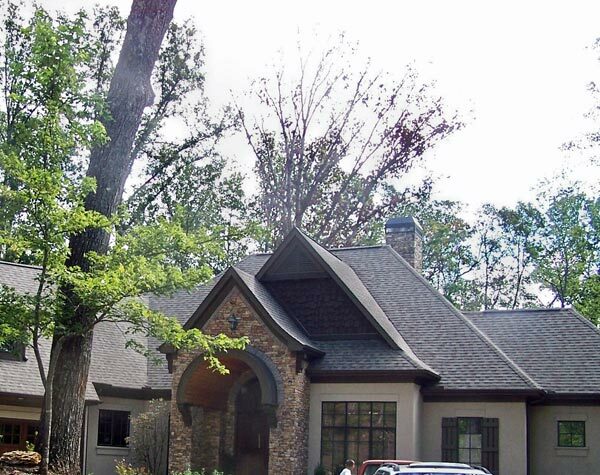 “I appreciate your professional help during a major homeowner’s litigation. Your prompt attention to my assignment is much appreciated. Your help was instrumental in controlling landscape damages claim and reasonable outcome. Case 8: Where Are The Roots? 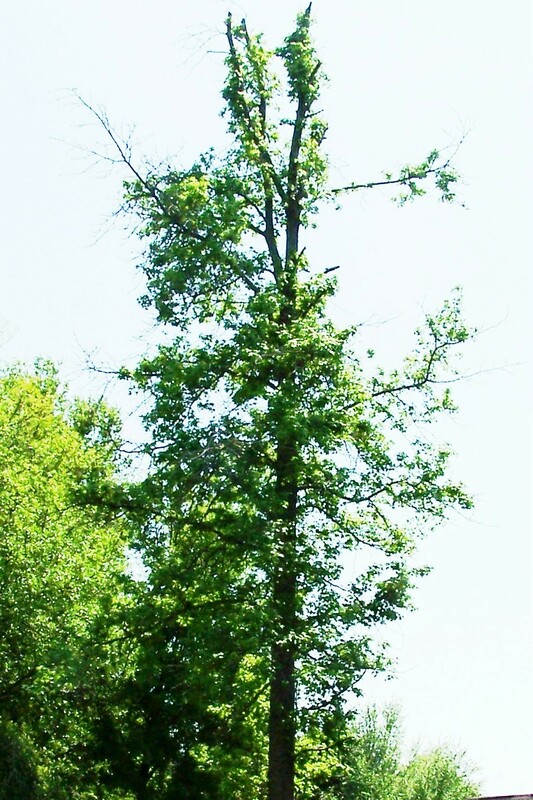 Case 16: Stressed Oaks & Maples; Root Zone Therapy to the Rescue!